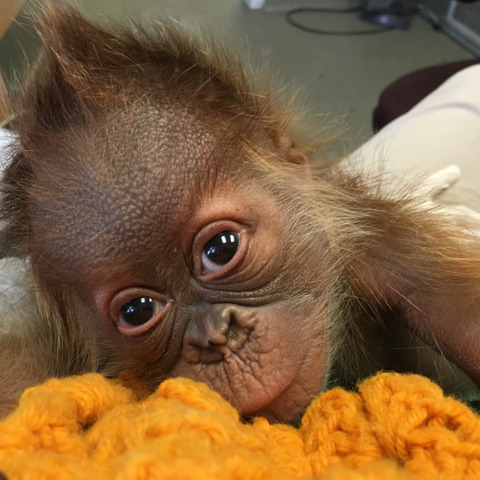 We are so excited to introduce you to Rowan! 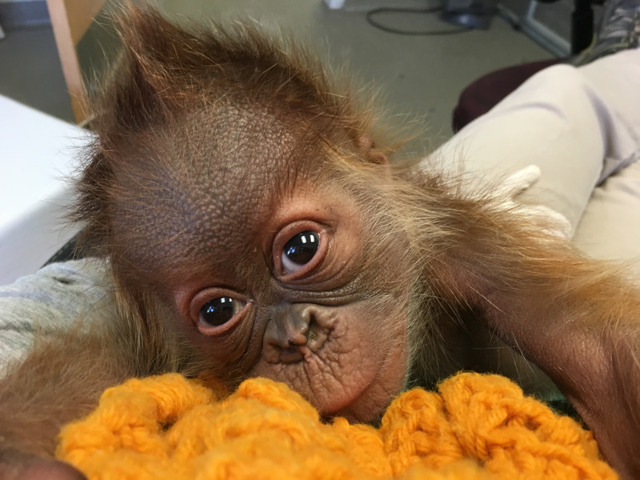 Rowan was the winning name after a week-long naming contest held in 2016. 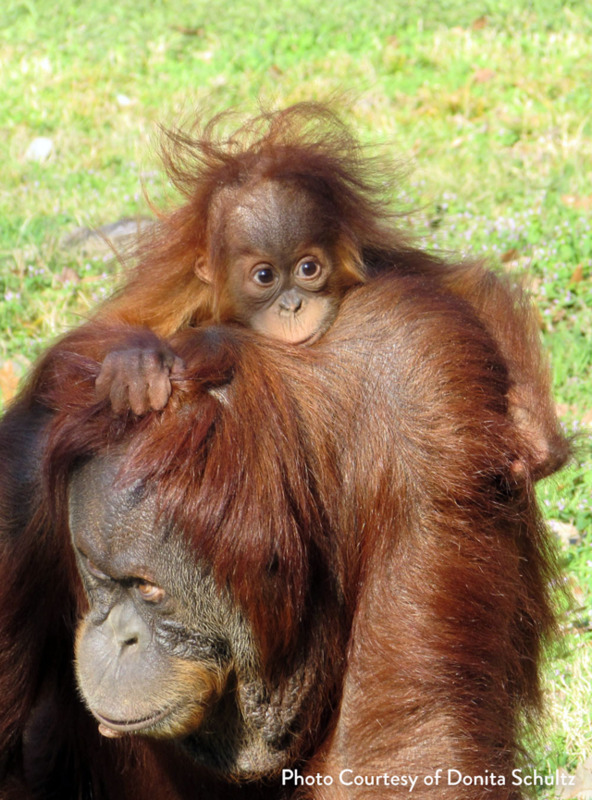 The name, which means “little red head,” was one of five names participants could vote on. 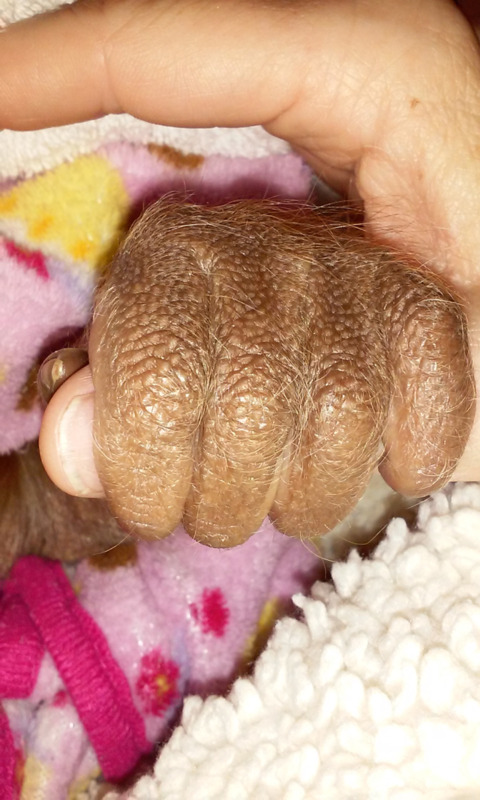 Over 2000 entries were collected. 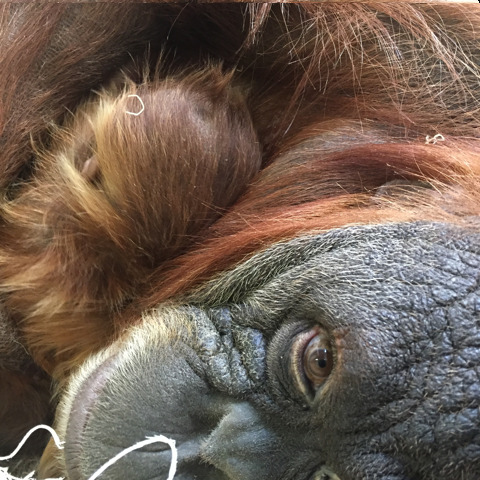 Click here to read the press release announcing his birth. 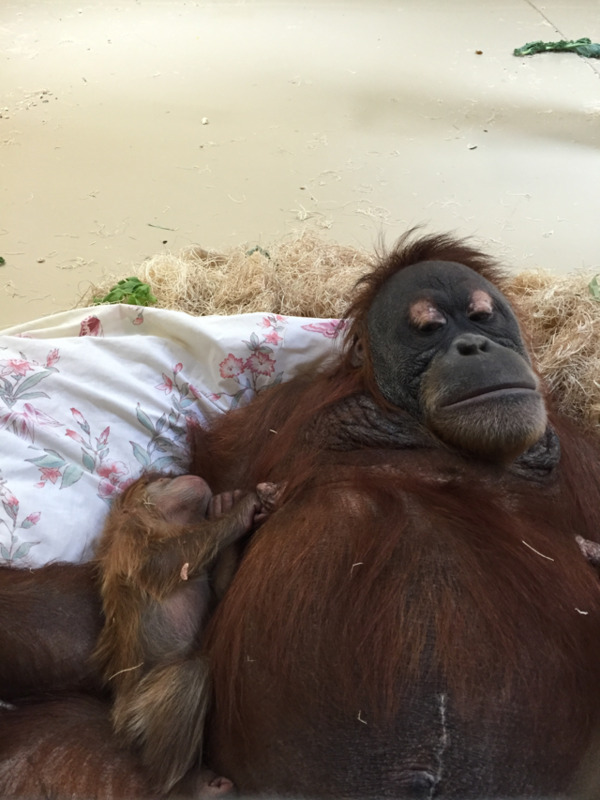 Rowan was born on March 19, 2016 around 1pm via Caesarean section. 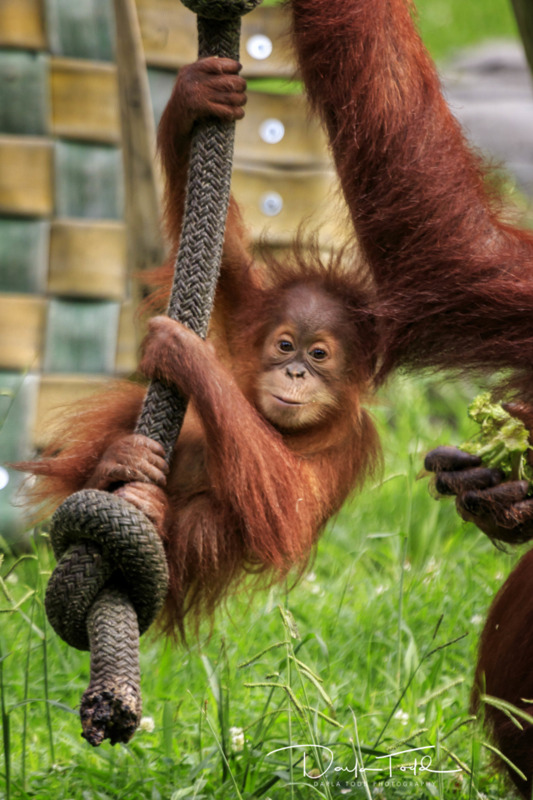 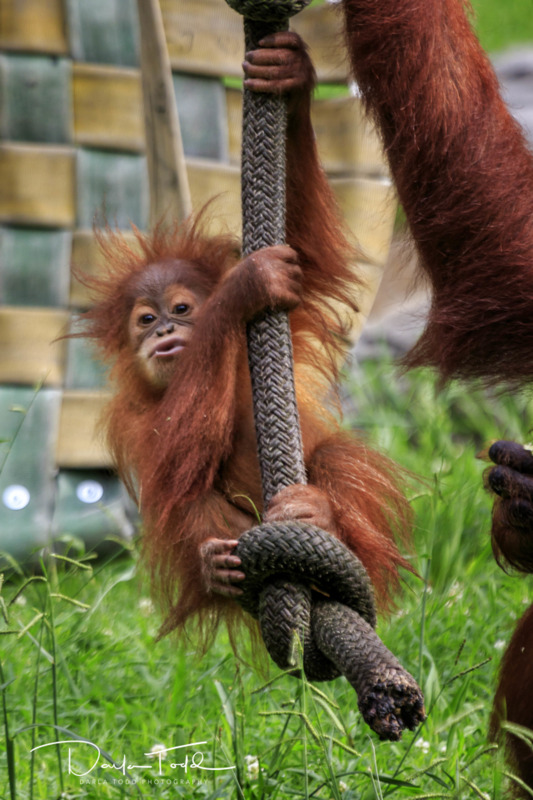 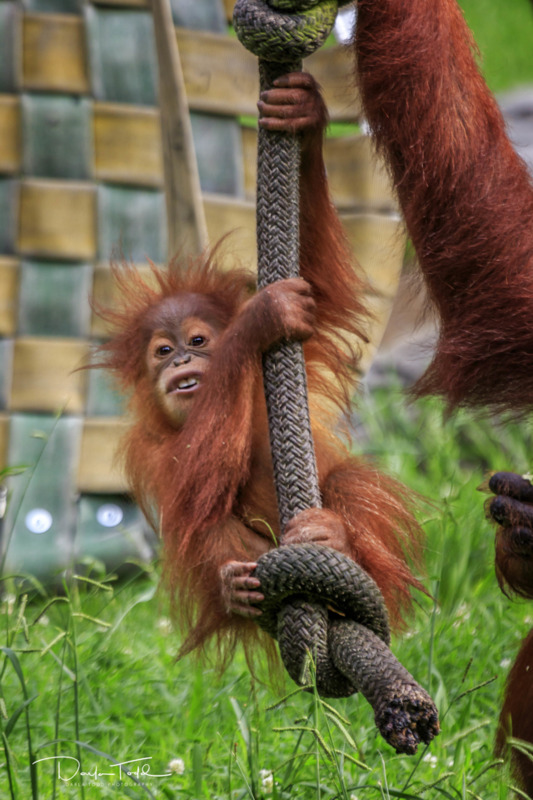 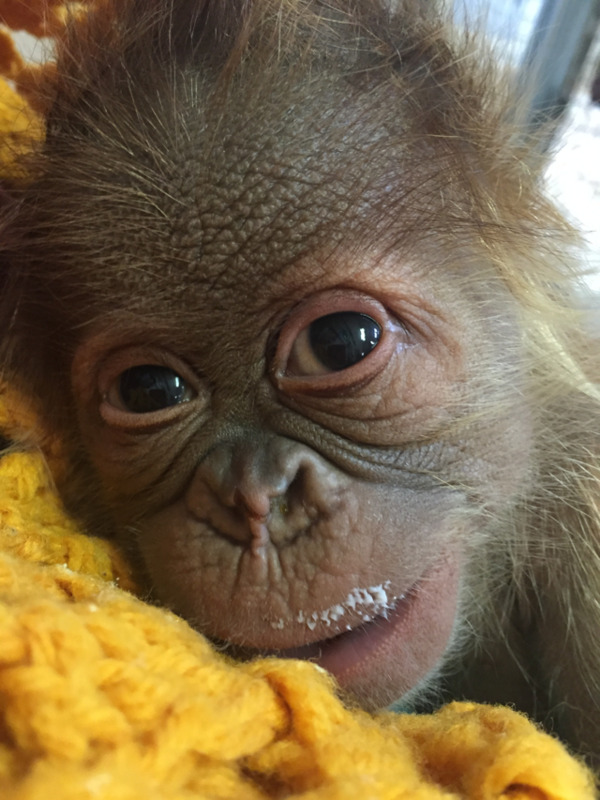 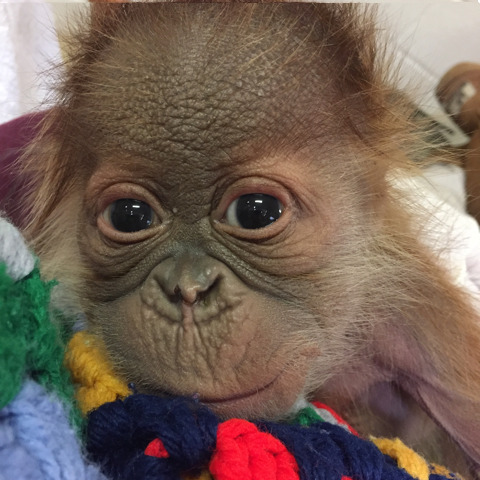 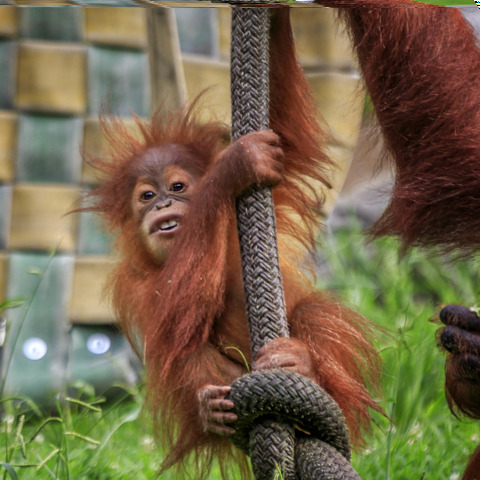 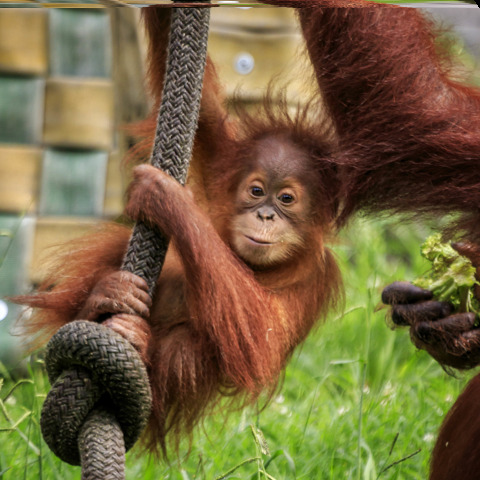 His mother is “Jahe” and father is “Tombak.” Animal care staff held, fed and cared for the baby for 11 days before reintroducing him to Jahe – who has done a flawless job despite being a first-time mother. 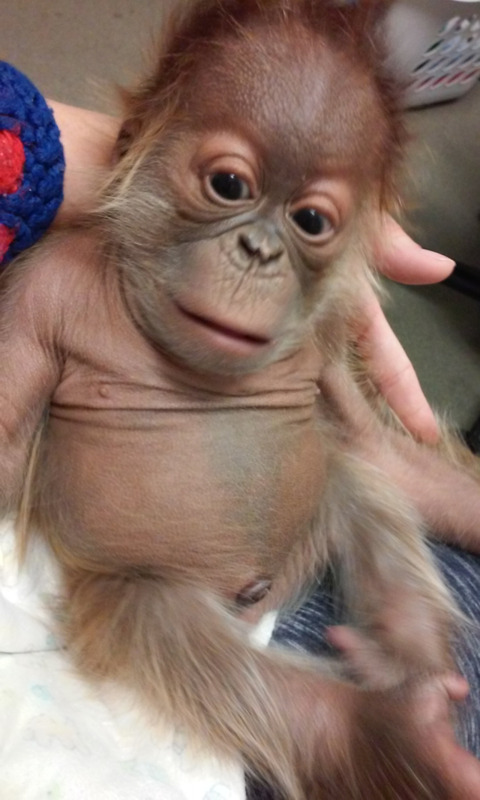 He weighed 5.4lbs at birth and ate well from a bottle while with staff - keepers also encouraged the baby to actually hang from a shawl they were wearing as opposed to merely carrying him in an attempt to prepare him for what his mother would expect. 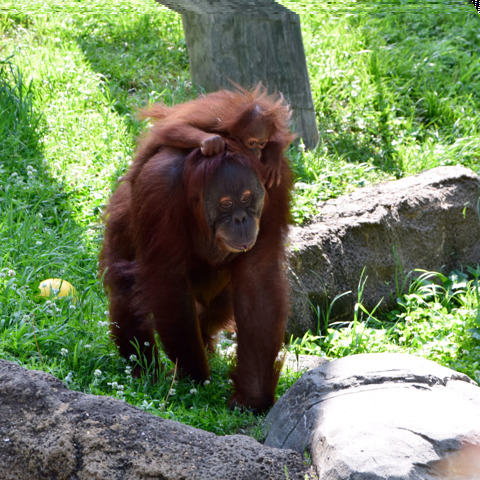 Within 24 hours of reintroduction he had figured out nursing and he and Jahe have been inseparable. 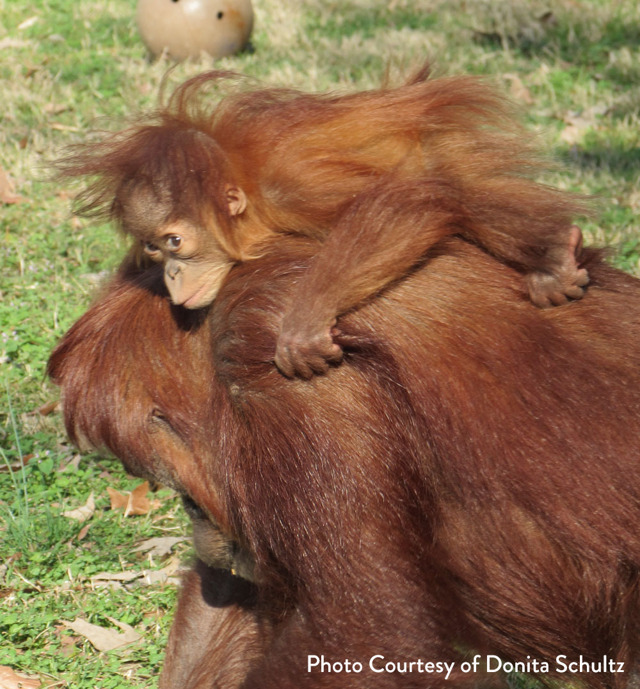 He's continued to be a Mama's boy, but he also has quite the adventurous streak. 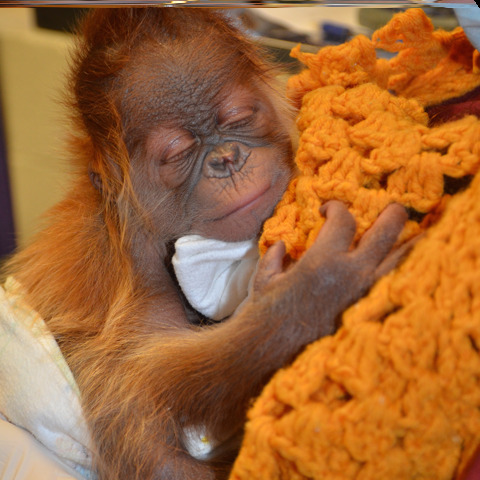 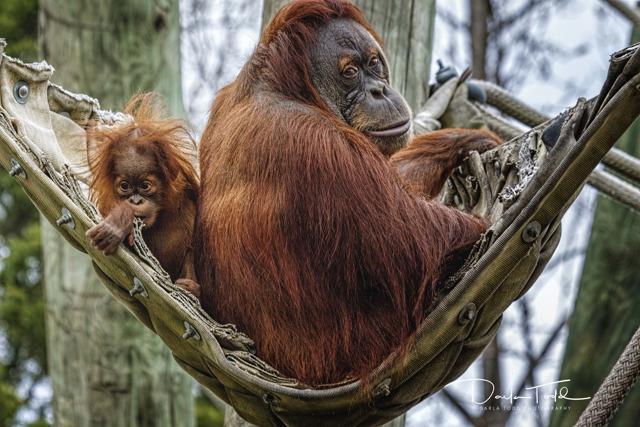 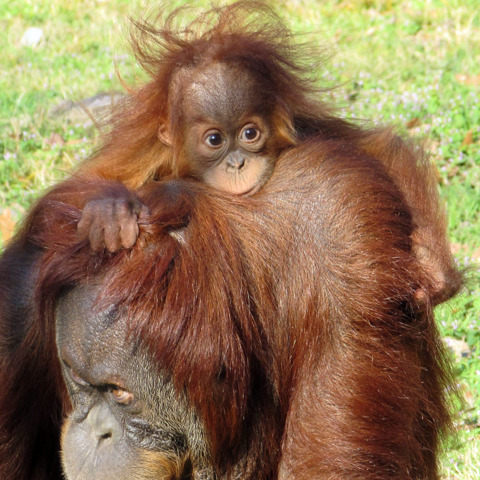 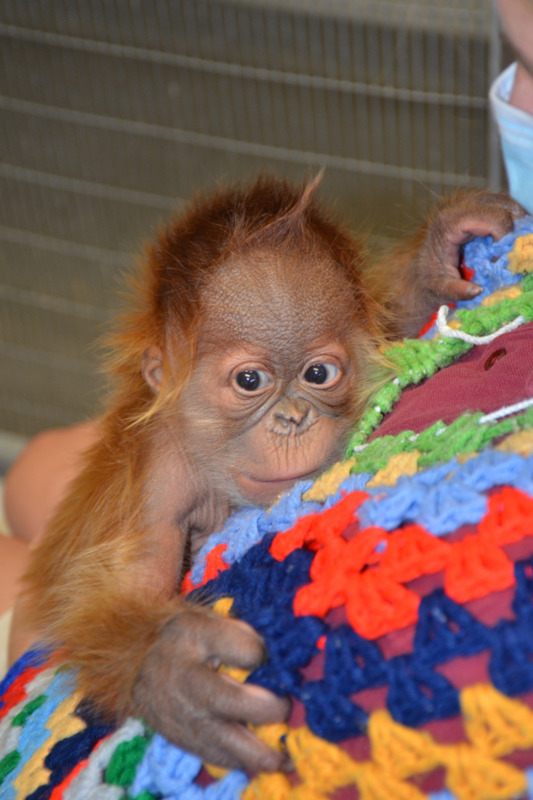 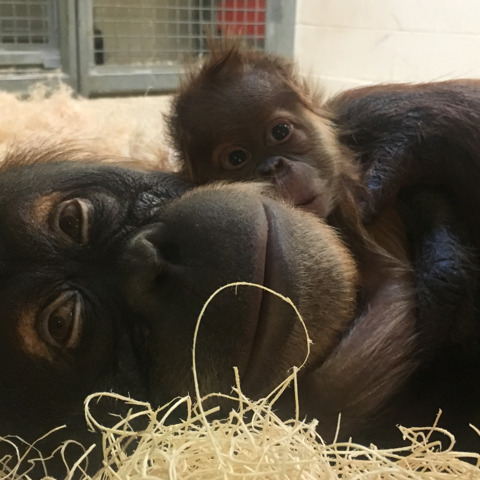 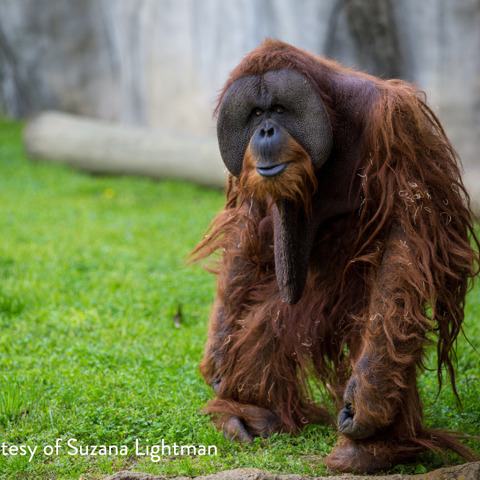 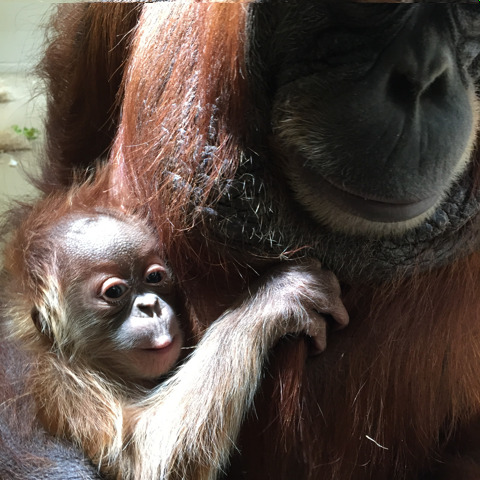 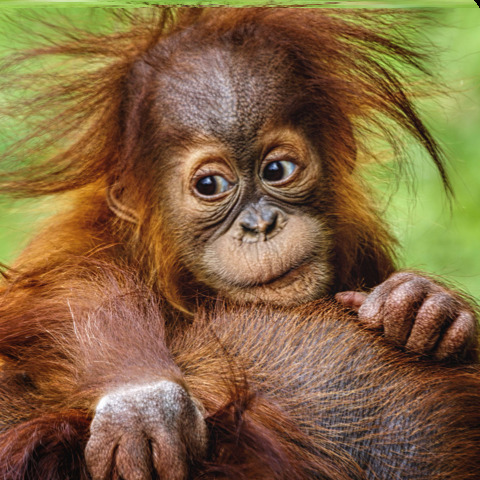 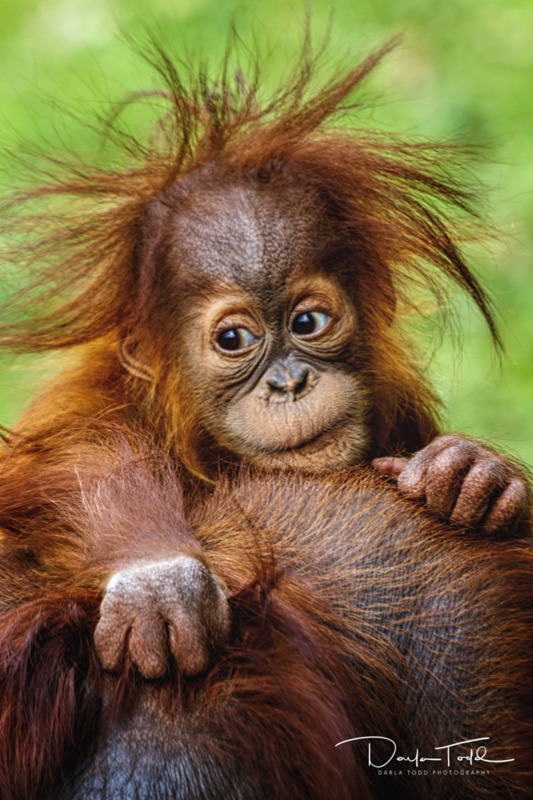 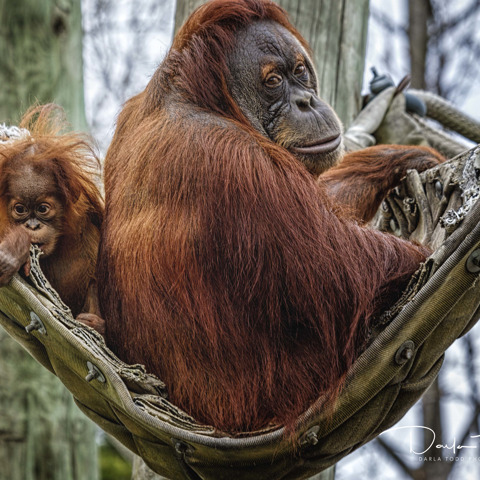 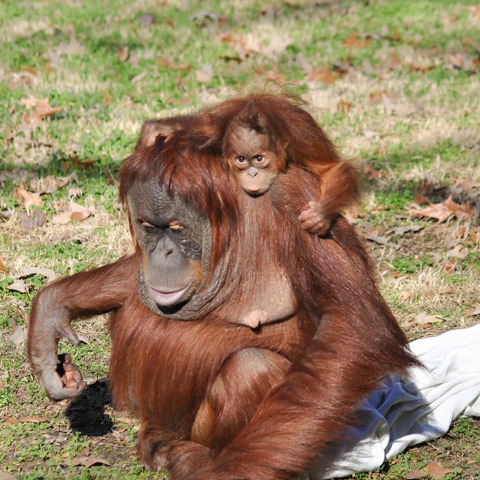 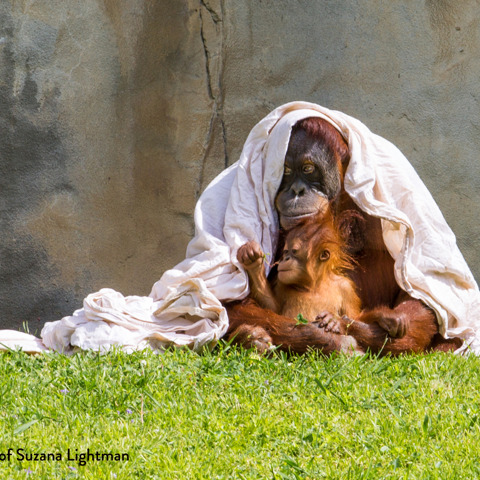 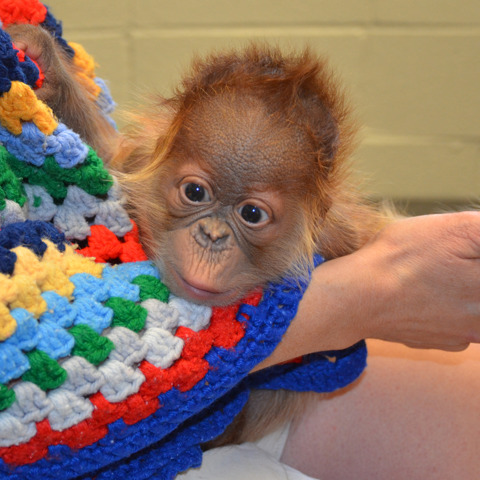 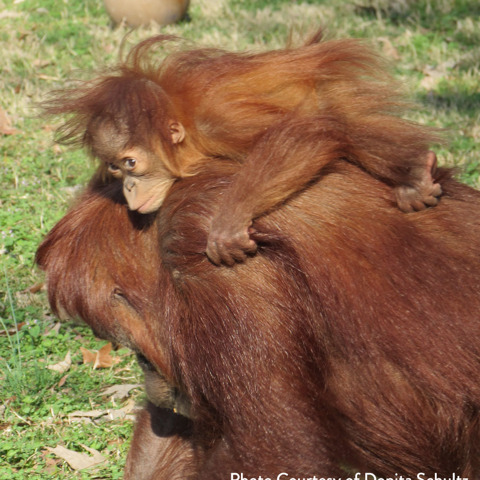 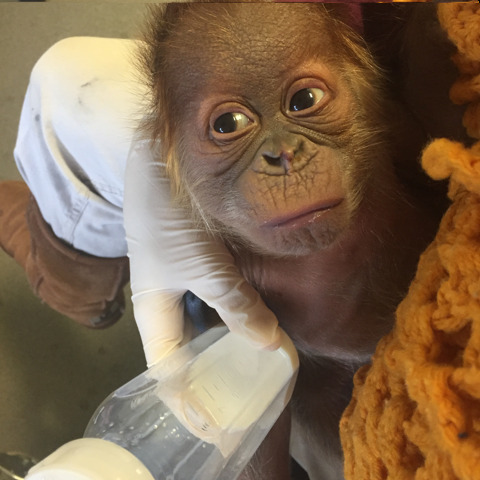 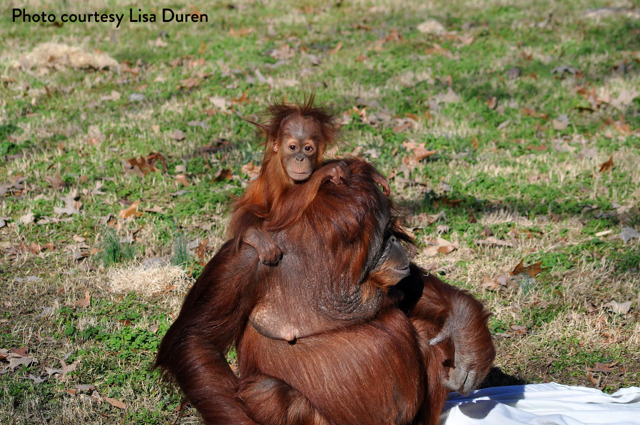 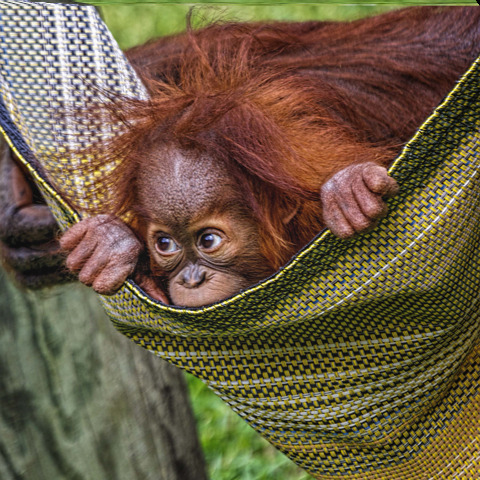 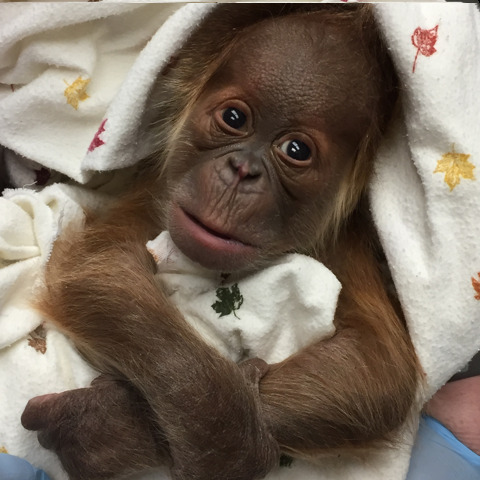 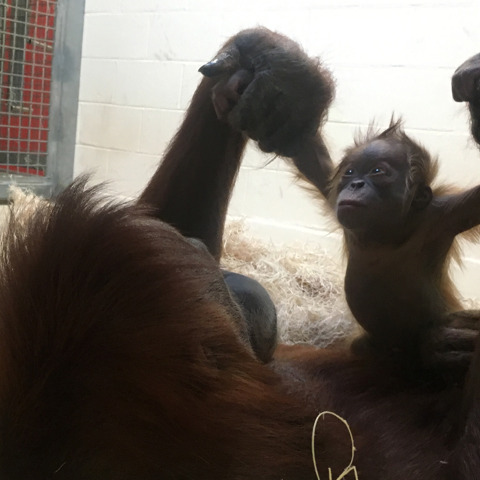 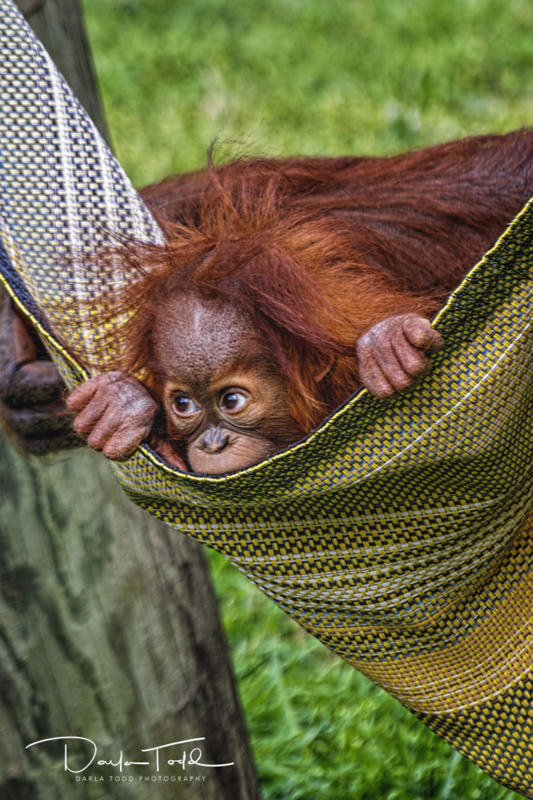 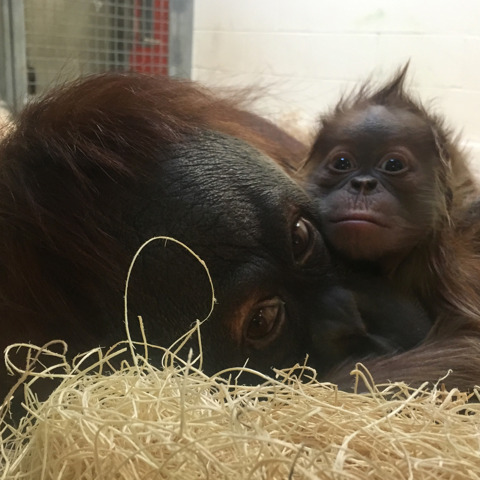 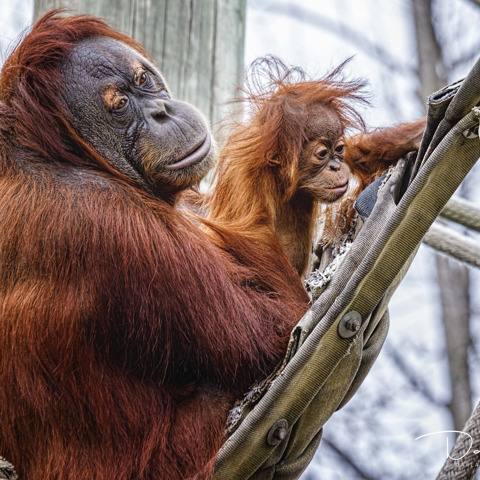 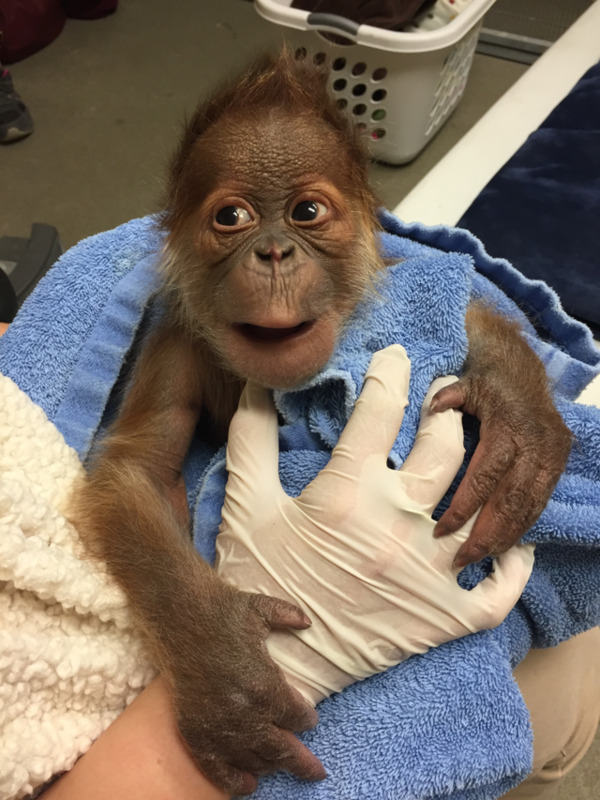 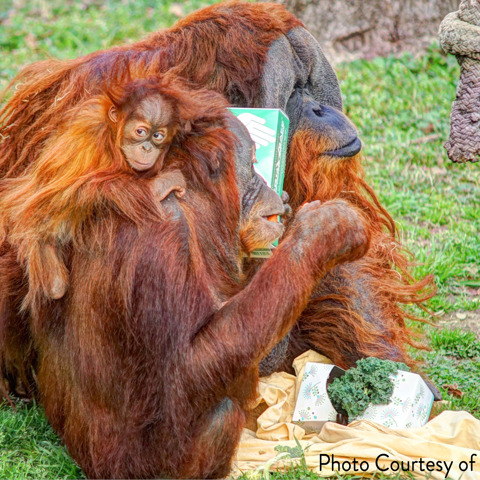 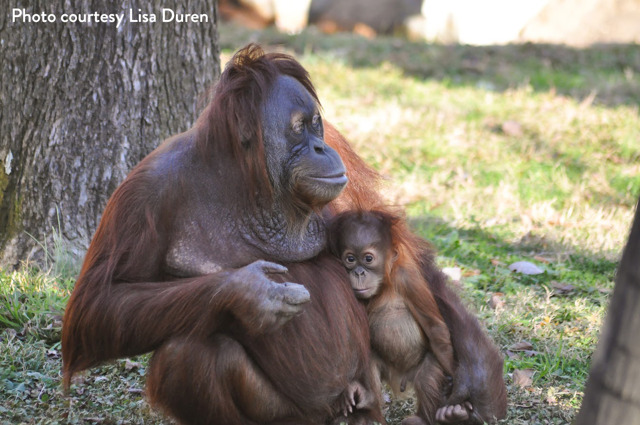 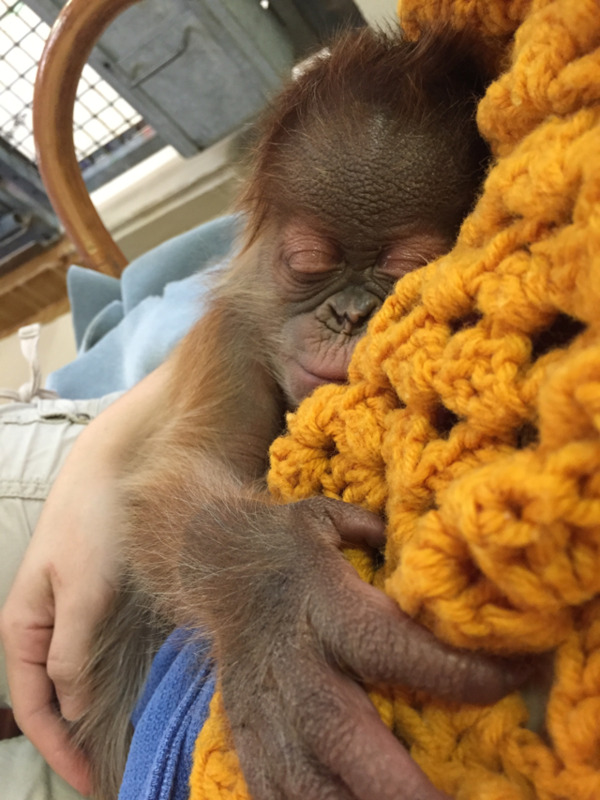 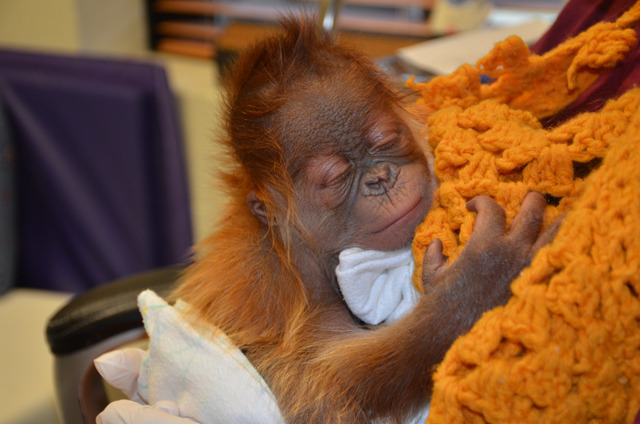 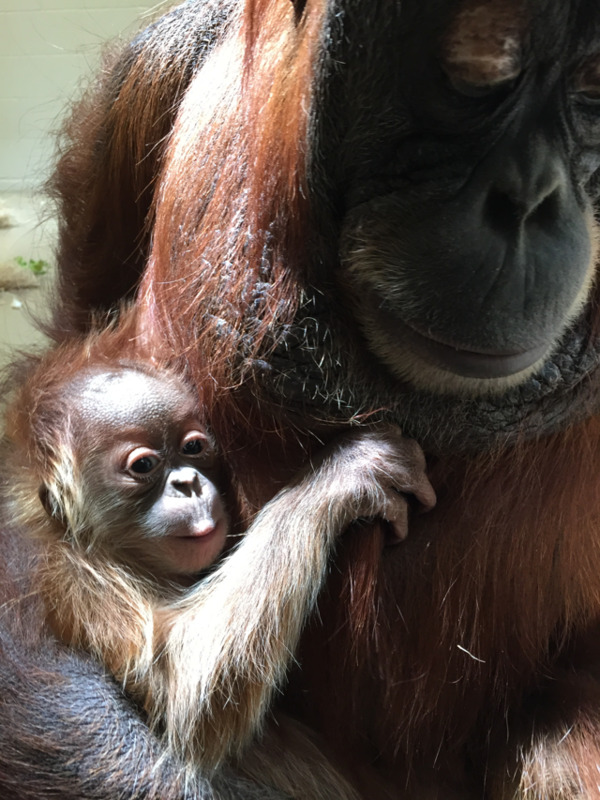 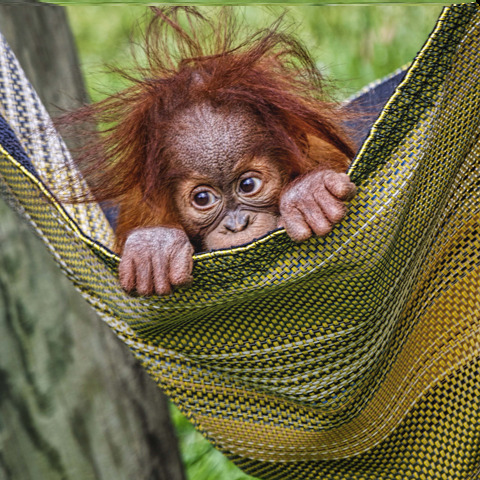 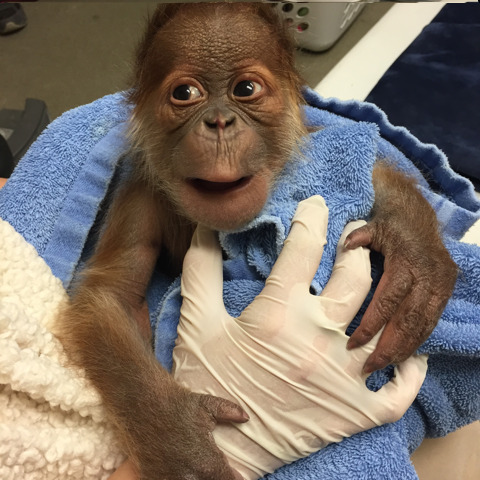 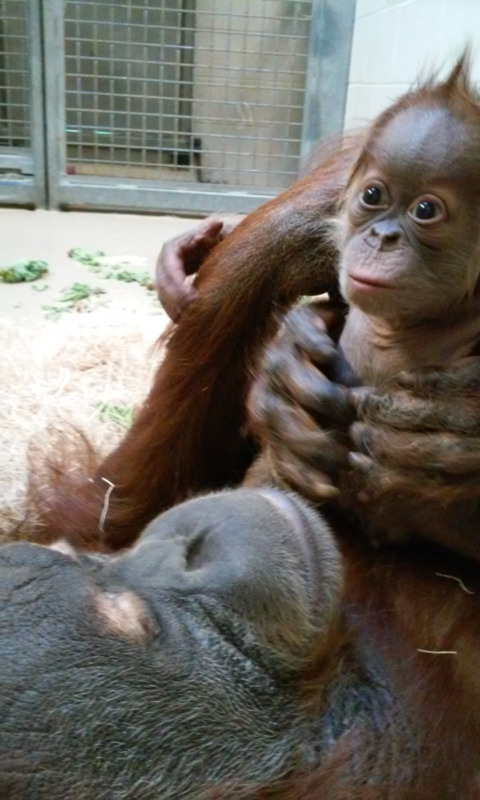 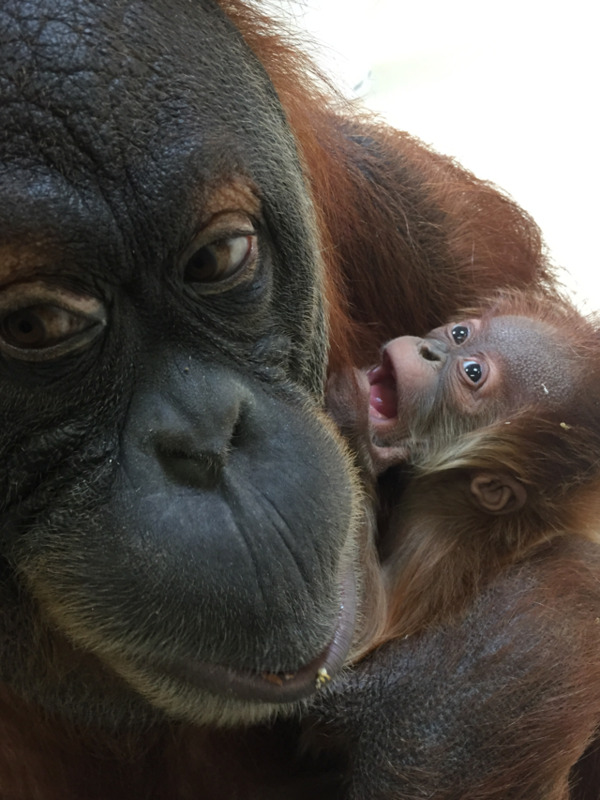 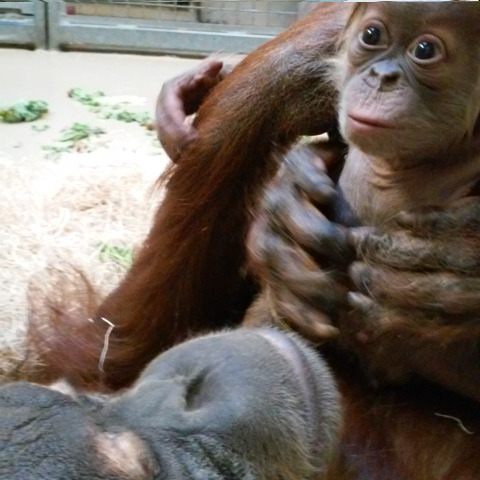 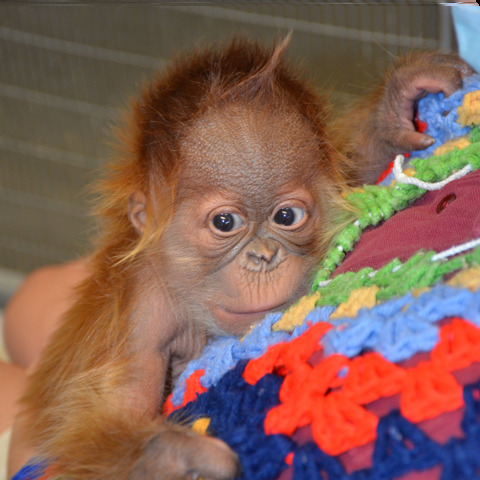 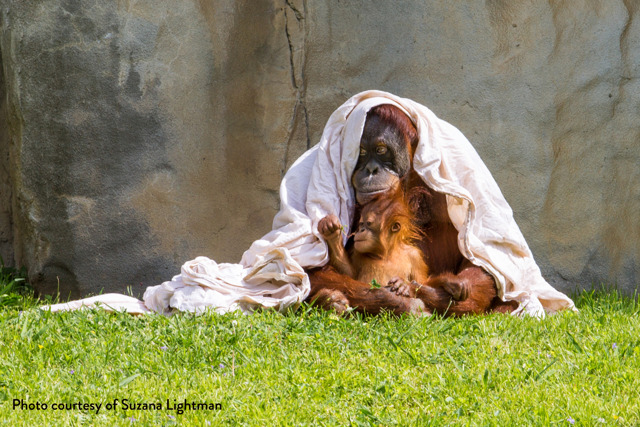 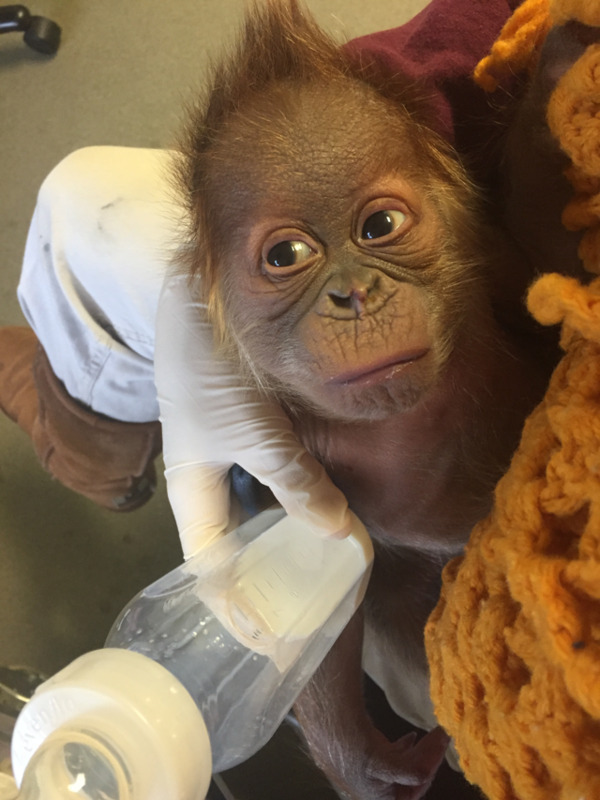 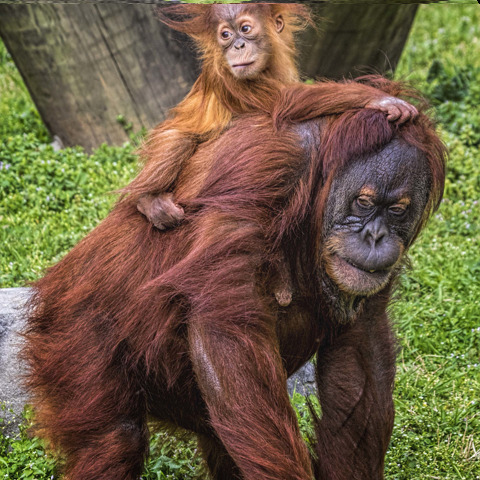 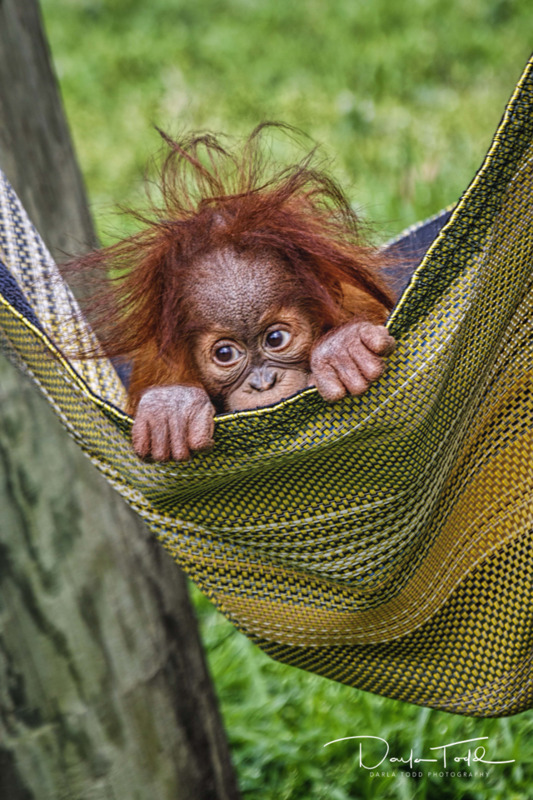 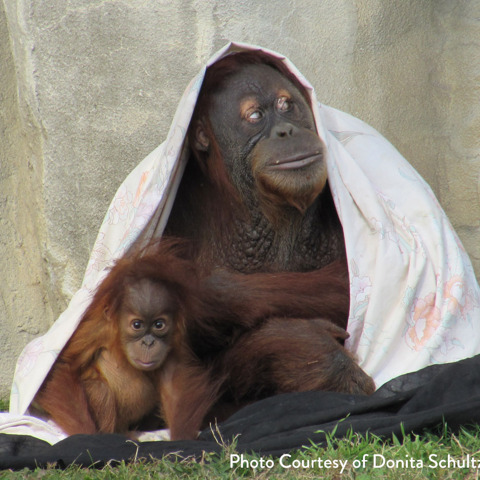 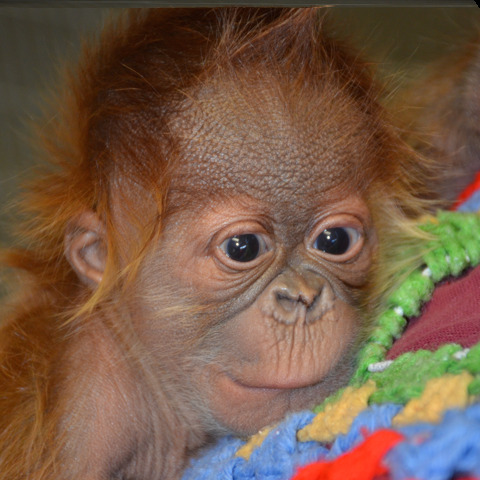 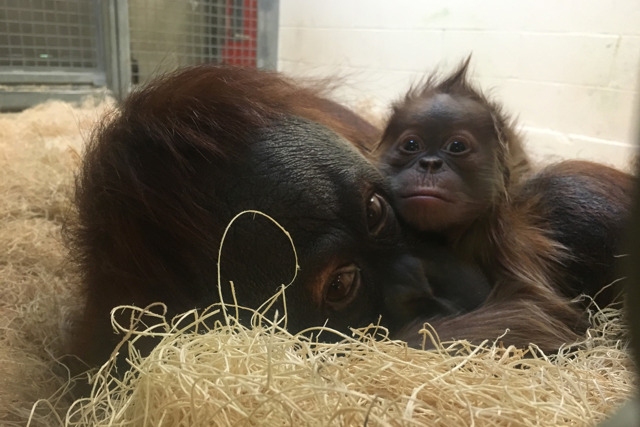 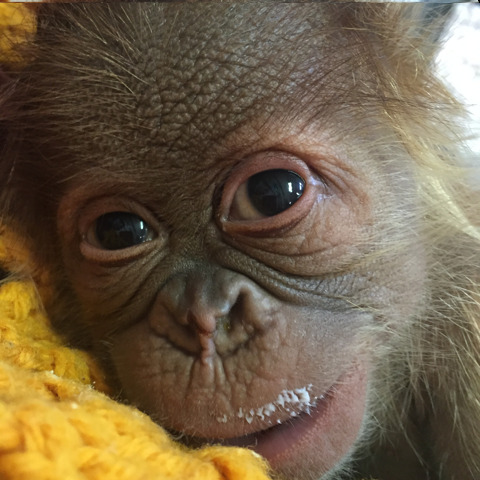 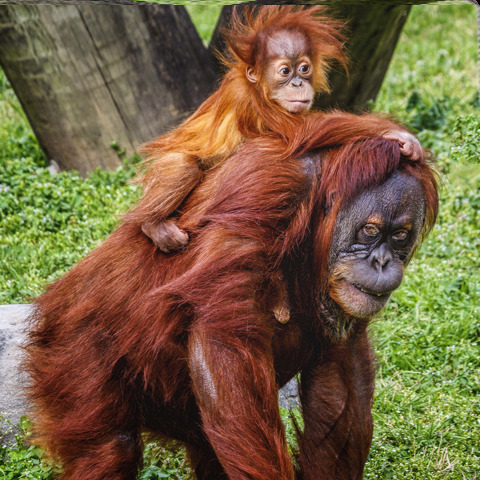 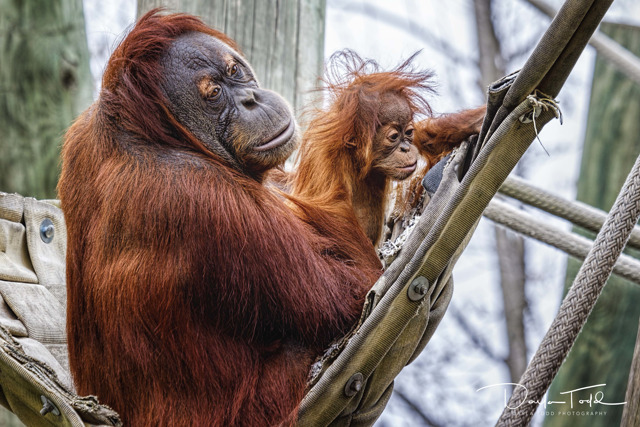 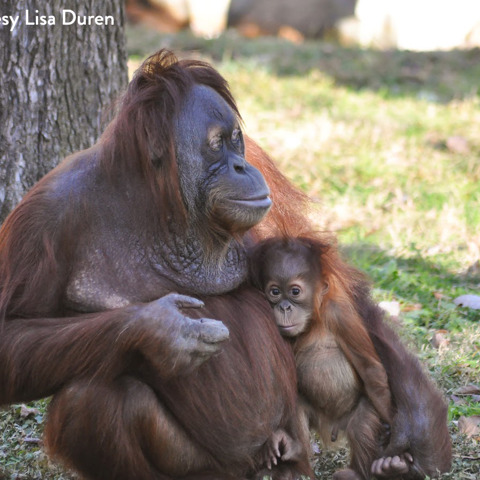 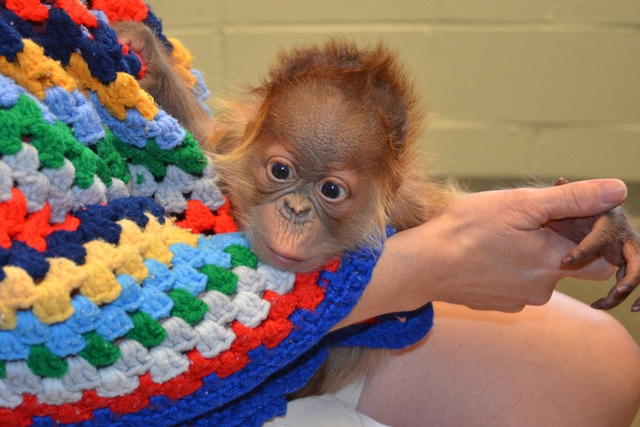 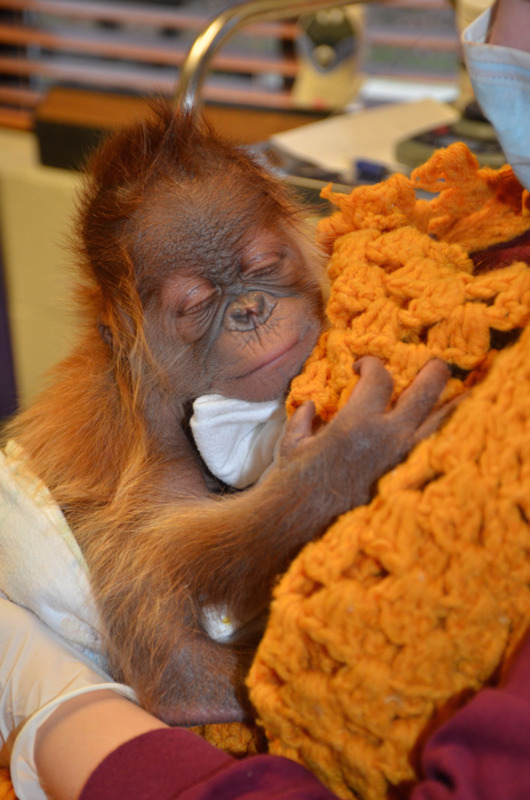 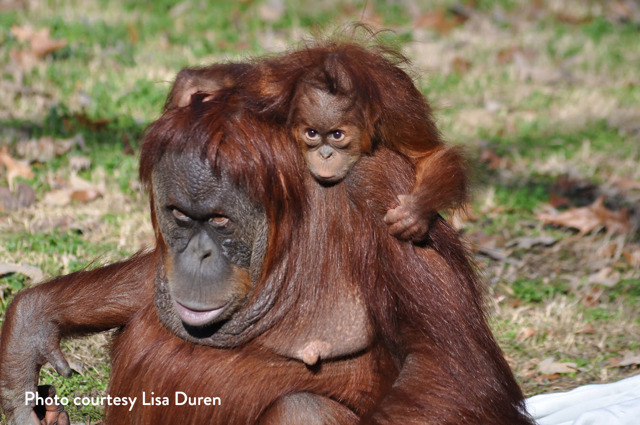 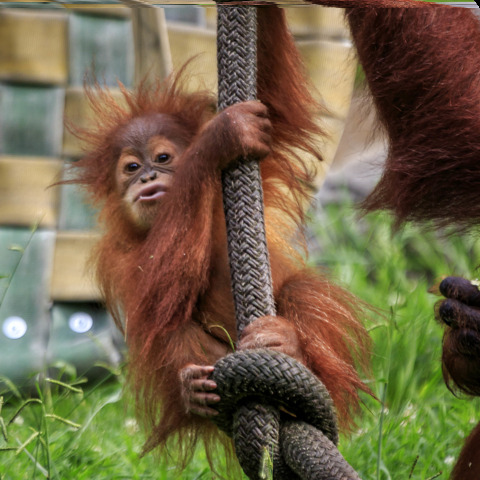 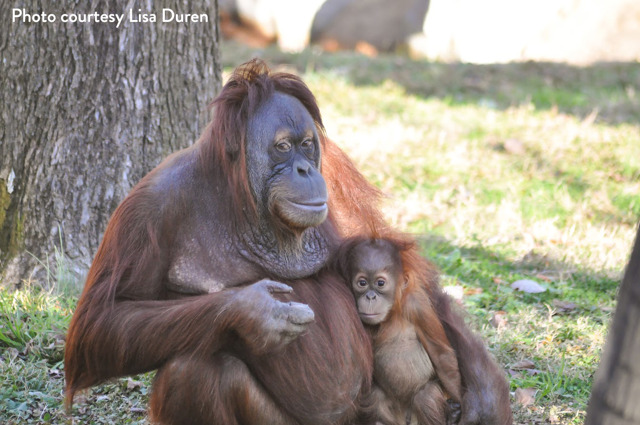 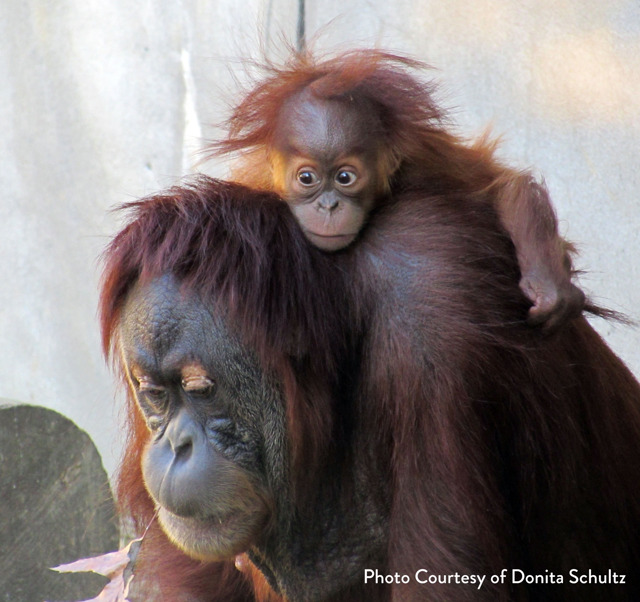 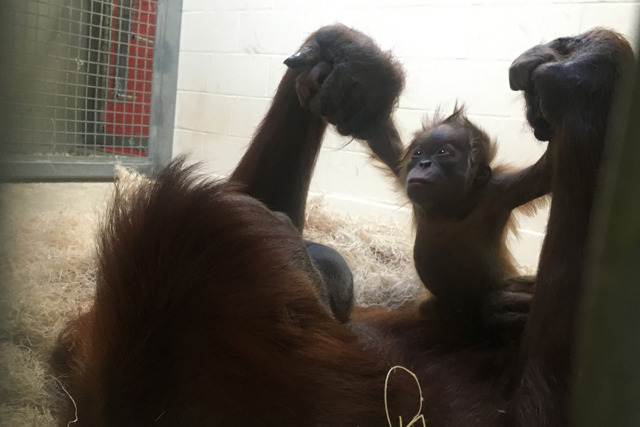 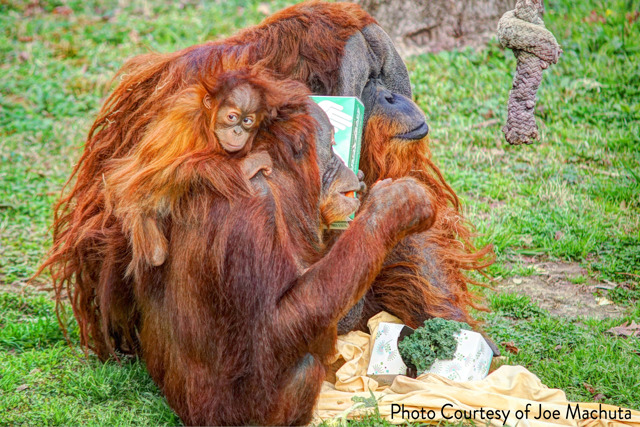 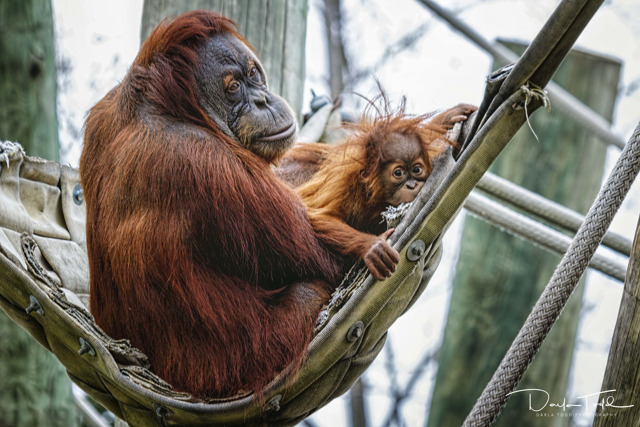 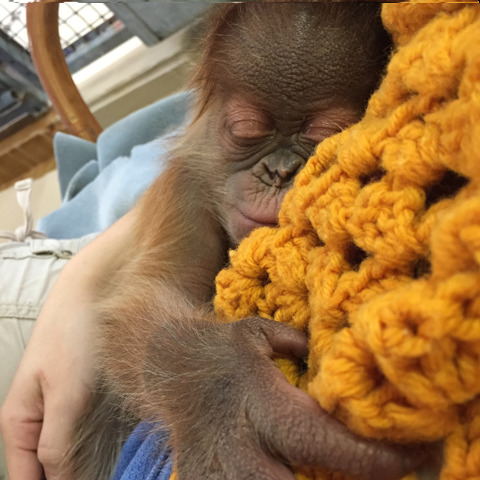 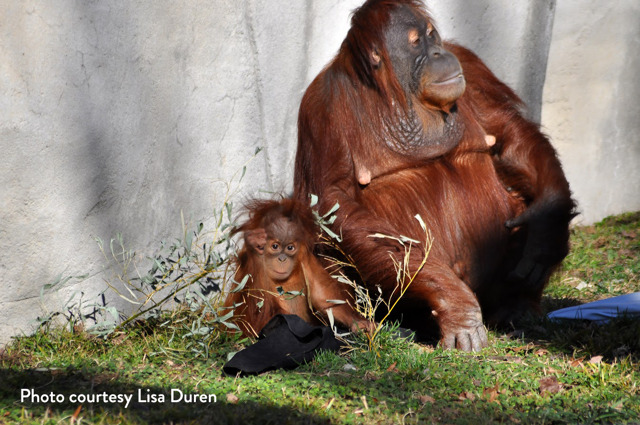 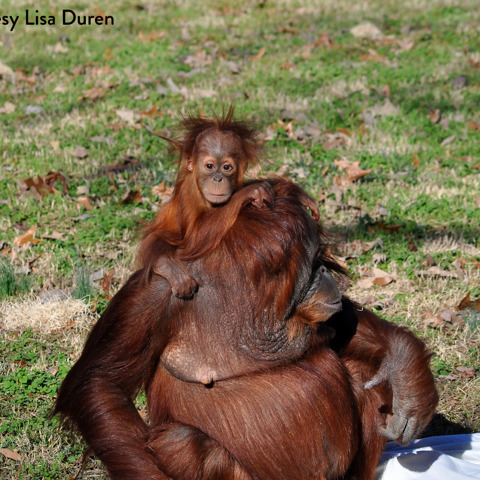 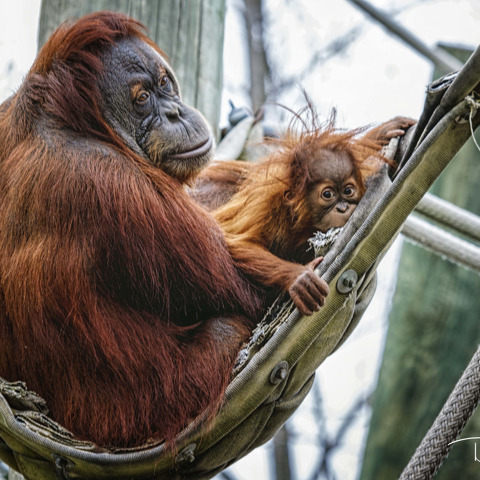 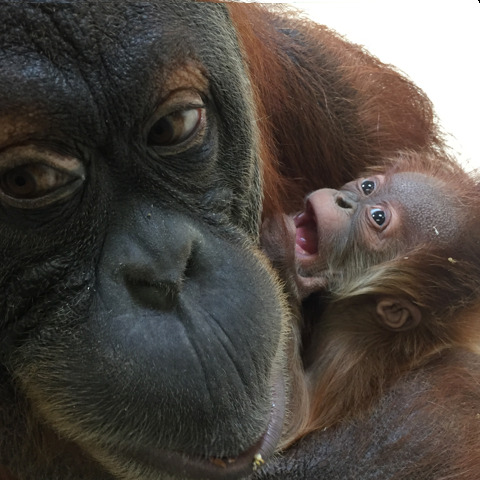 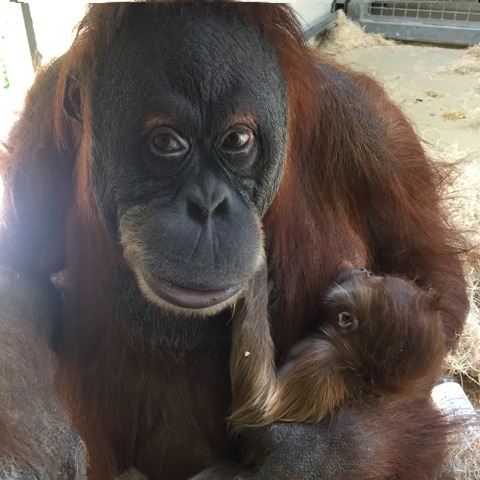 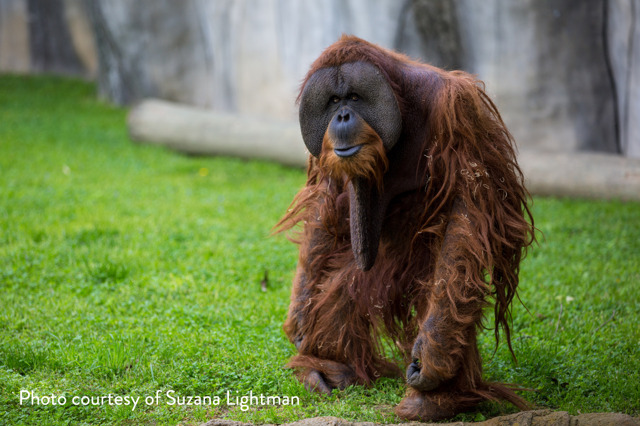 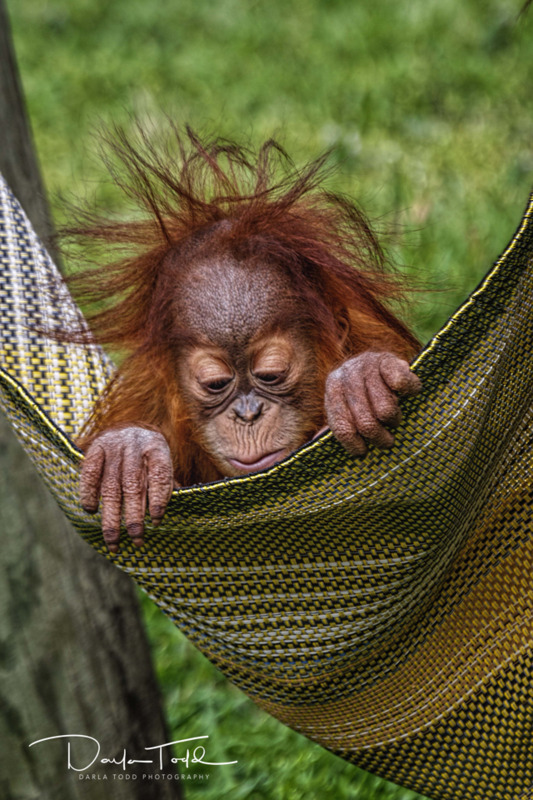 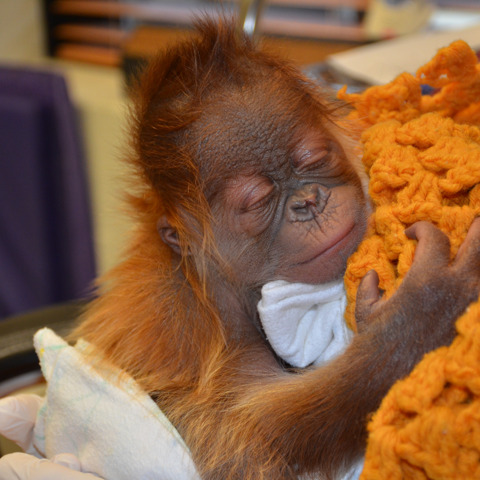 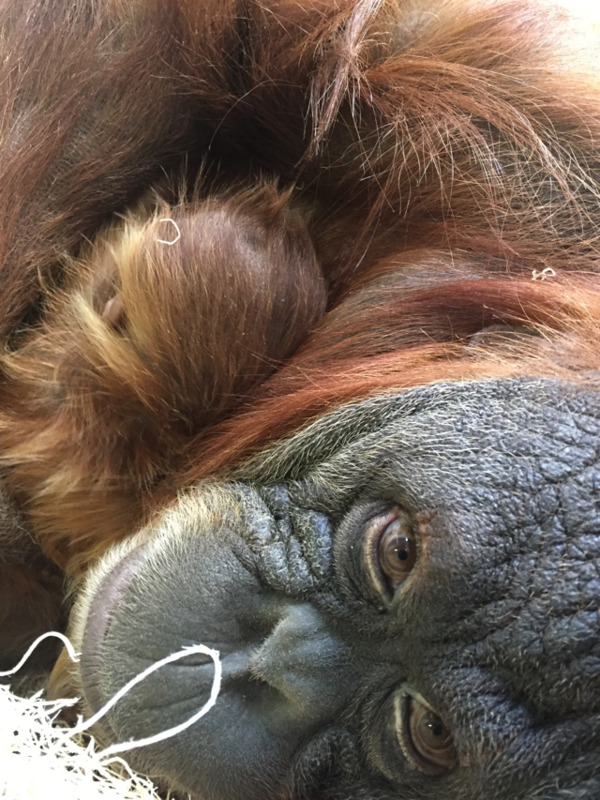 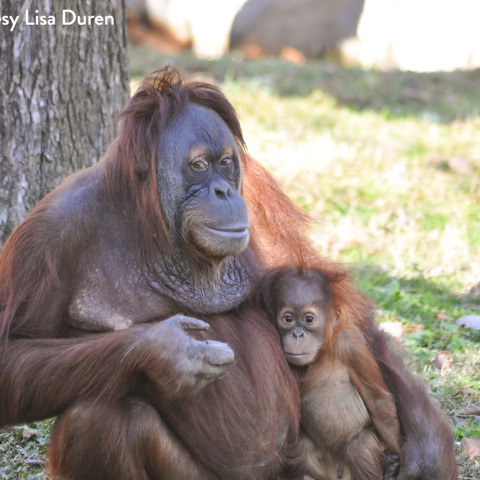 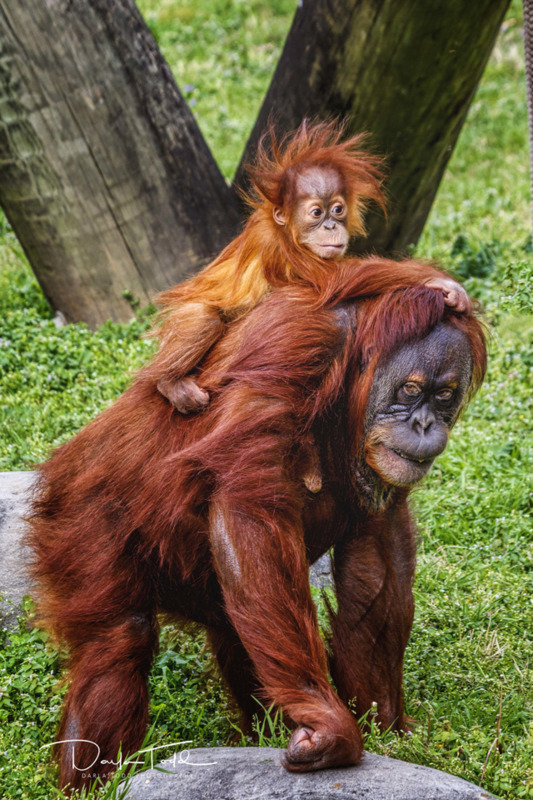 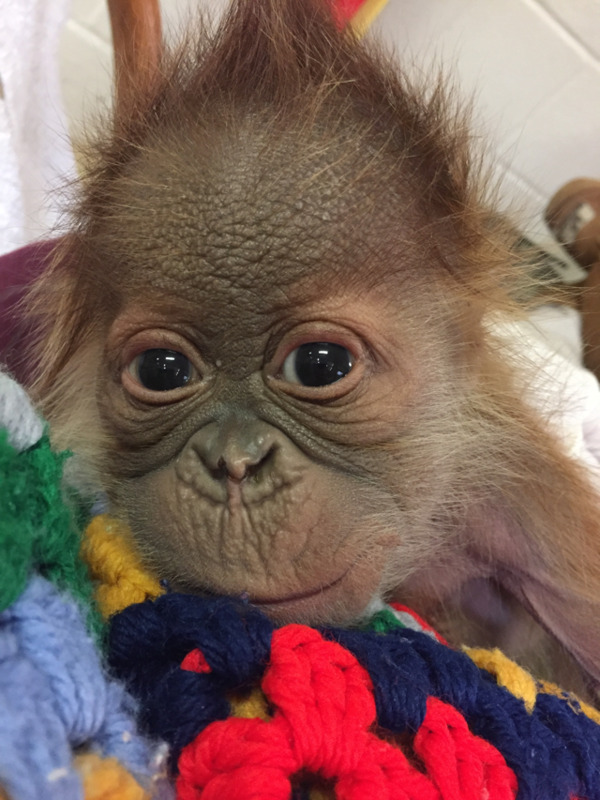 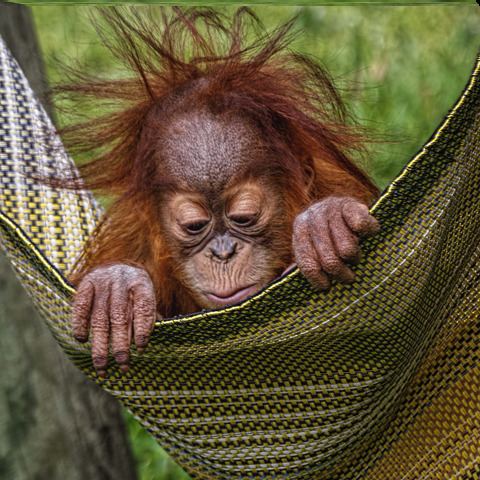 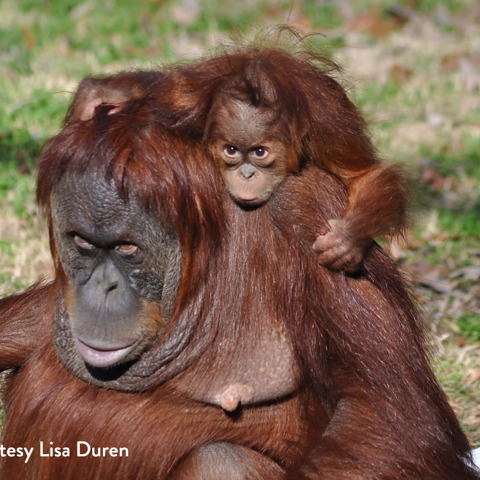 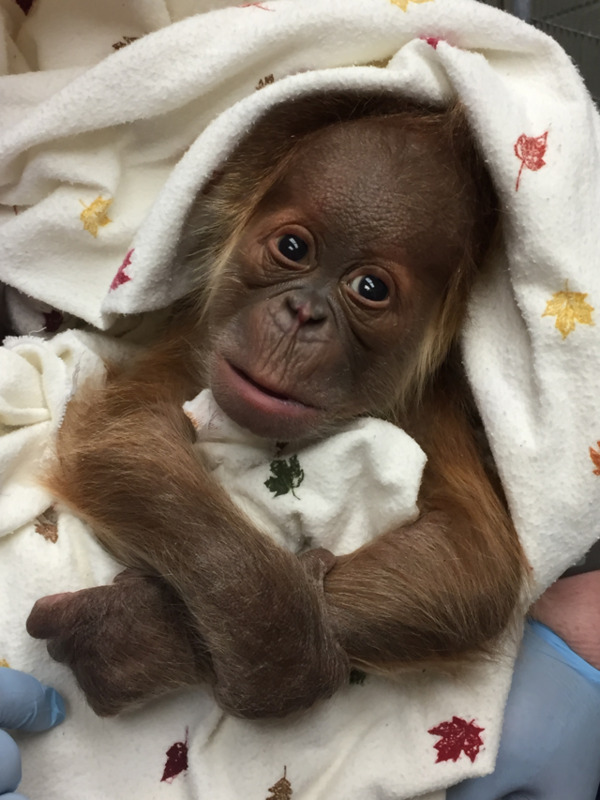 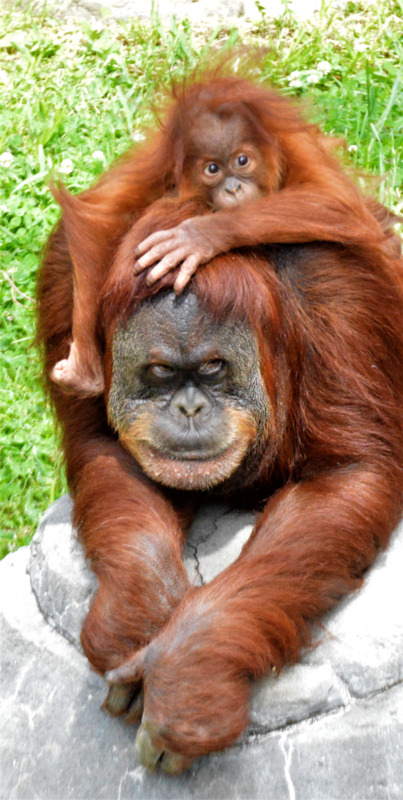 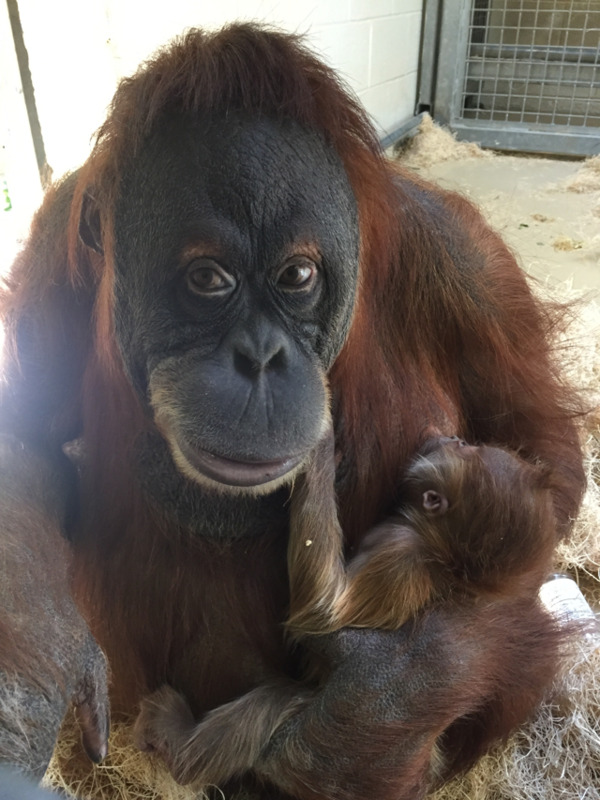 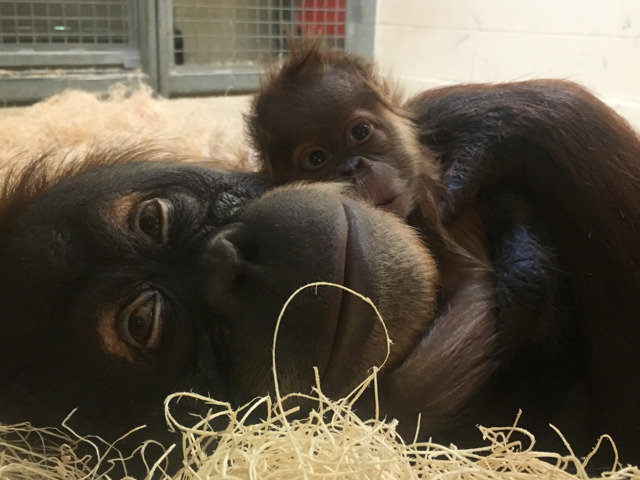 C-sections are rare with orangutans, and the Memphis Zoo is one of only two institutions that has successfully introduced mother to baby within two weeks of birth. 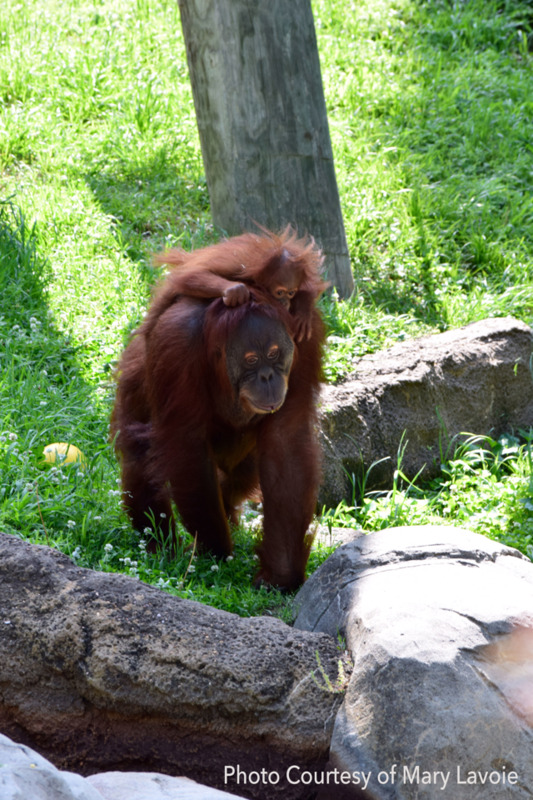 Baby and mom are currently rotating on and off their exhibit. 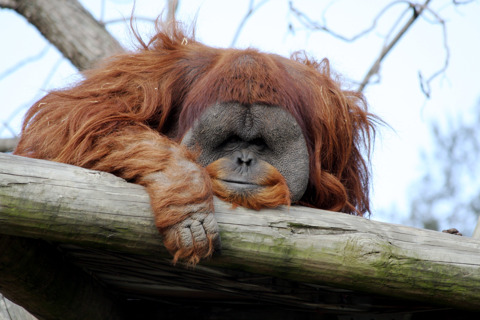 Generally, the morning is the best time to view them. 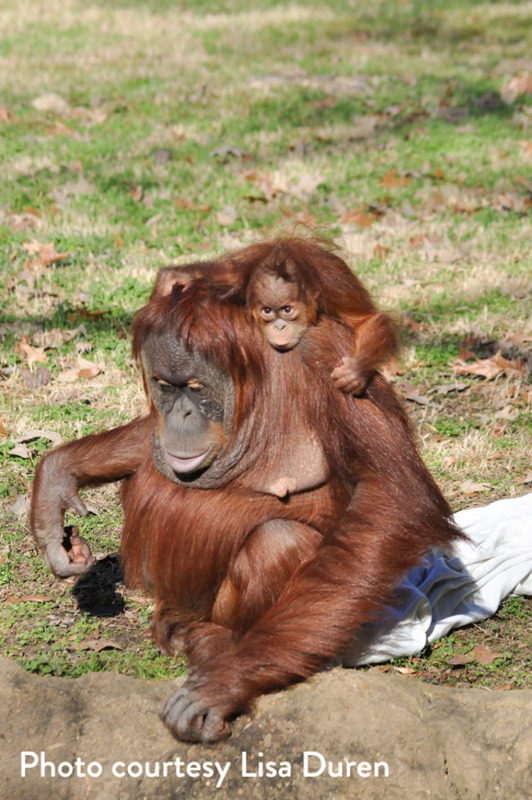 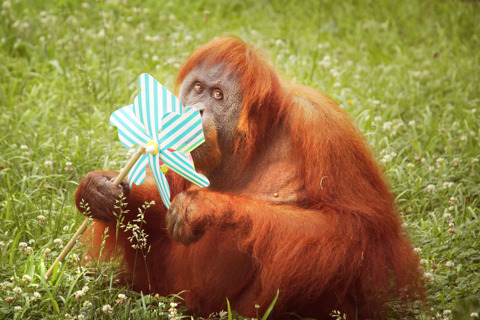 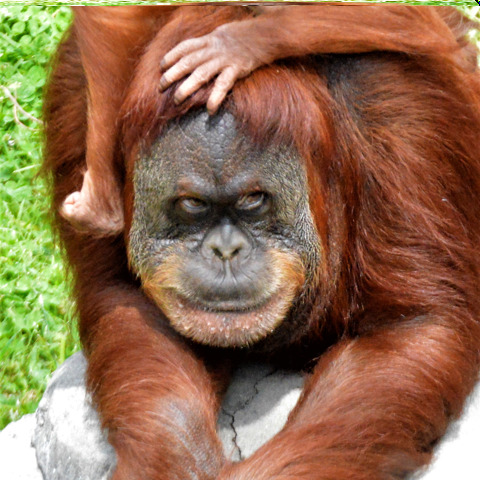 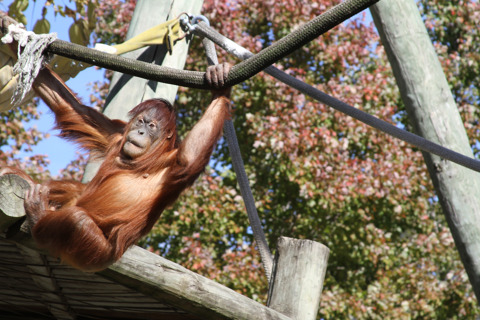 "Jahe," a 18-year-old female, arrived at the Memphis Zoo in 2010. 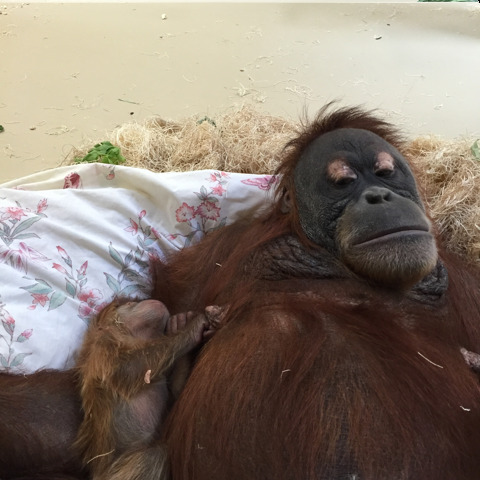 She is a first-time mother. 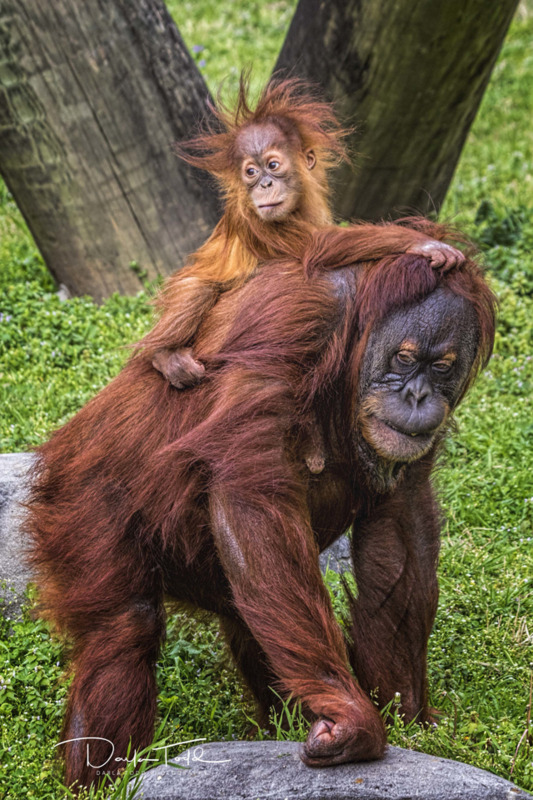 Jahe’s mother, who still lives in Toronto and recently turned 49, is named “Puppe” and was wild born – making Jahe a genetically valuable individual. 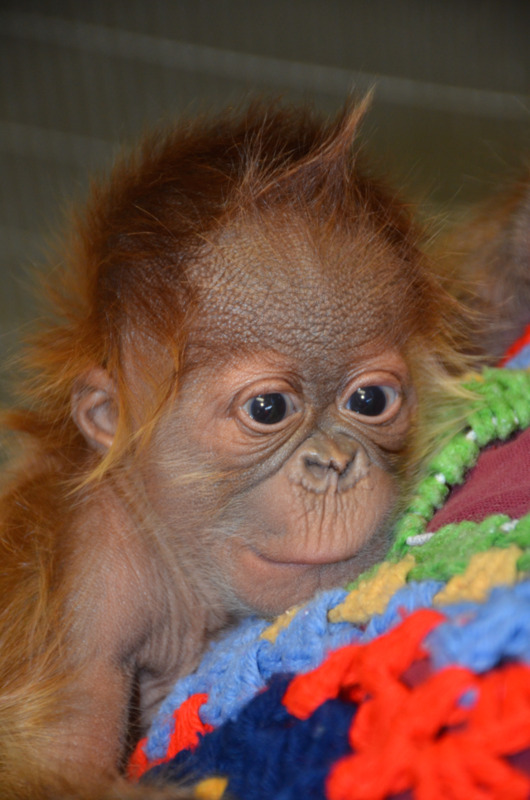 Jahe's name means “ginger” in the Indonesian language. 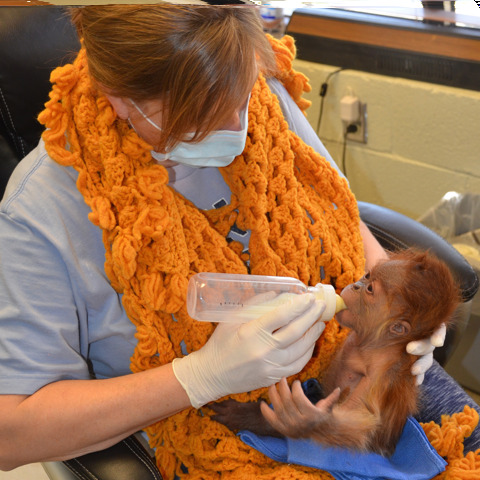 Back in 2014, Jahe was featured on Local Memphis 24 during a story about our vet team. 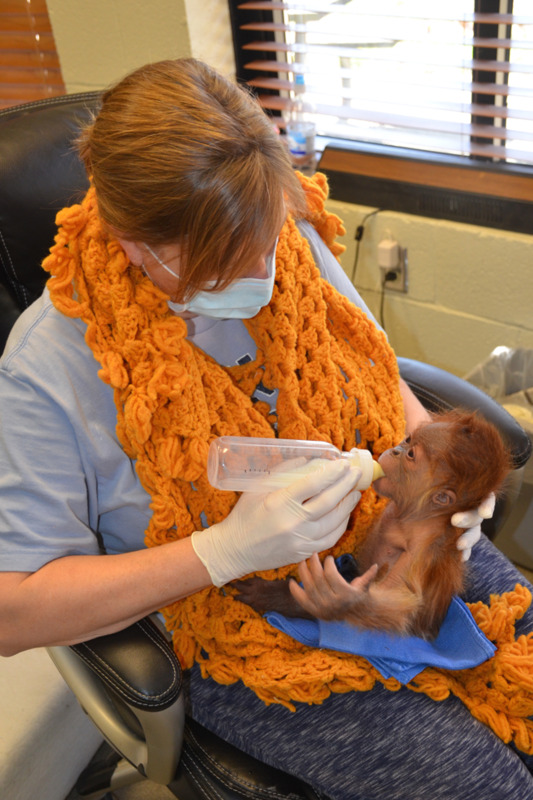 Many of the procedures shown in the piece were also done during her C-section. 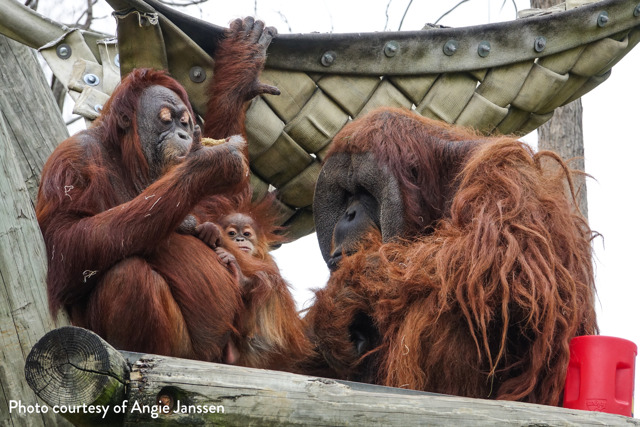 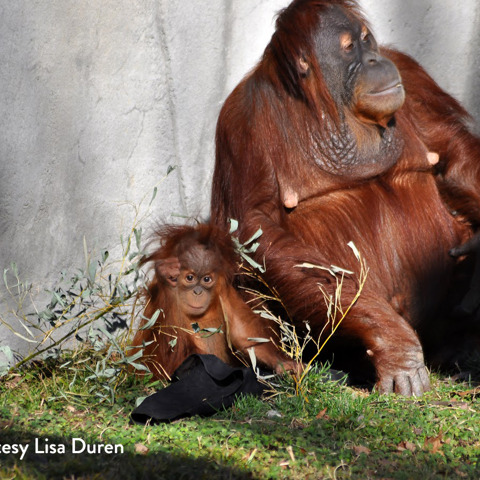 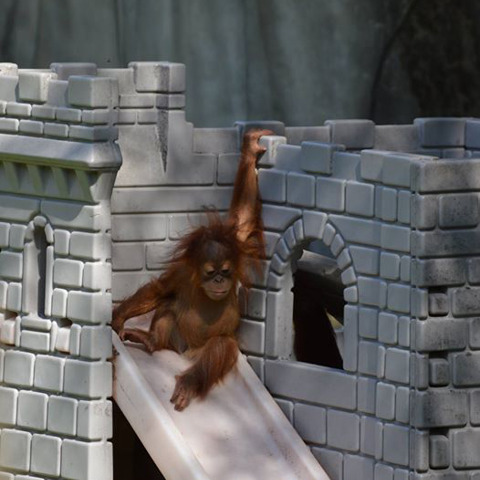 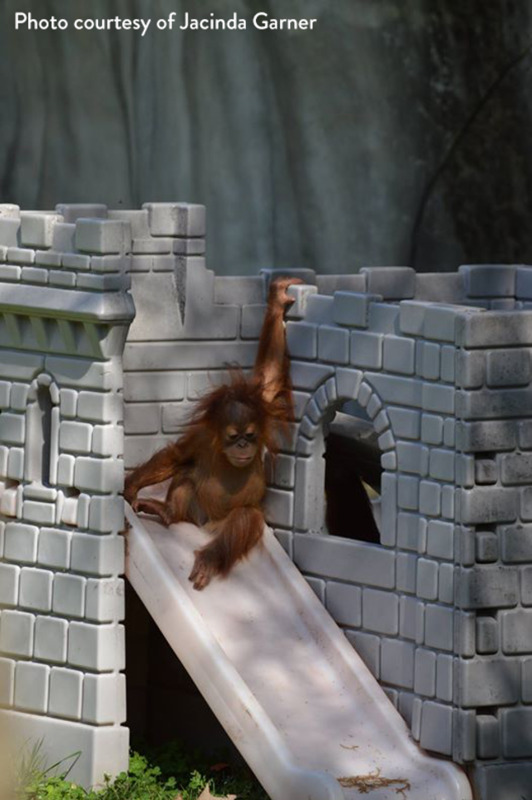 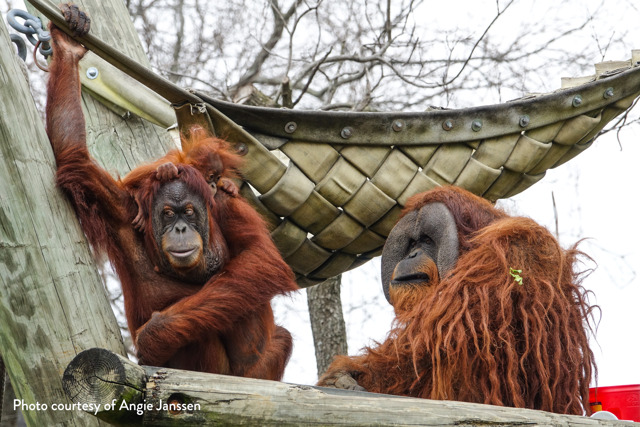 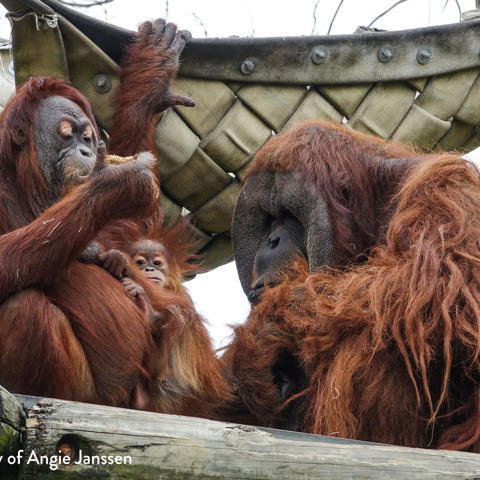 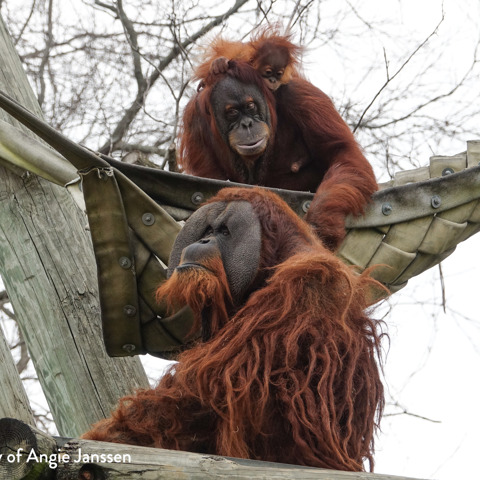 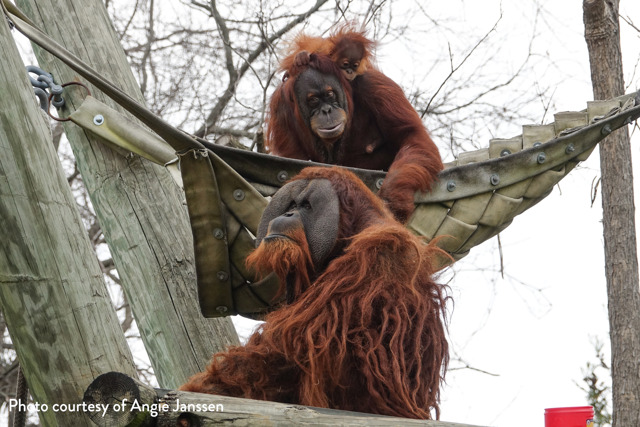 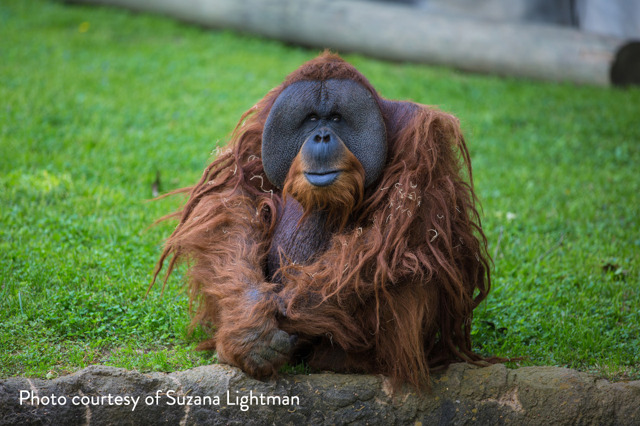 In addition to the baby, Jahe and Tombak, we also have “Chickie," a 38-year-old female. 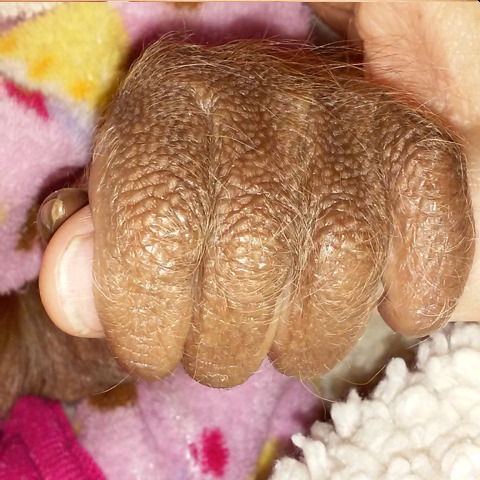 She is named after former Surgeon General Charles “Chick” Everett Koop, who operated on her shortly after her birth. 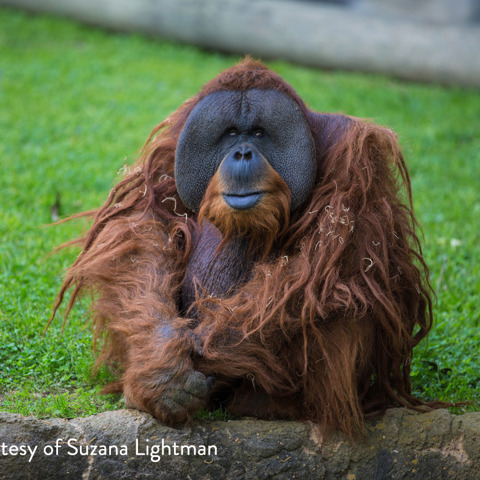 When will he be on exhibit? 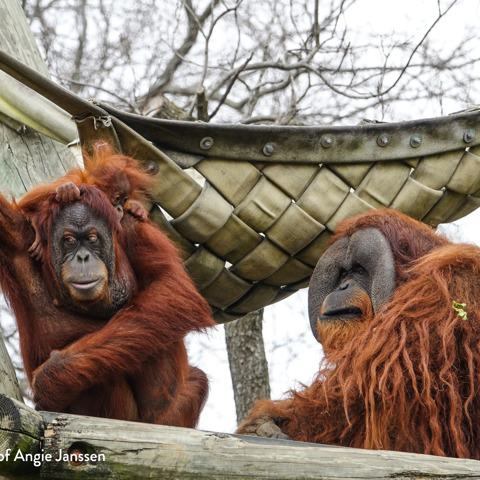 Rowan, Jahe and Tombak are routinely on exhibit every other day. 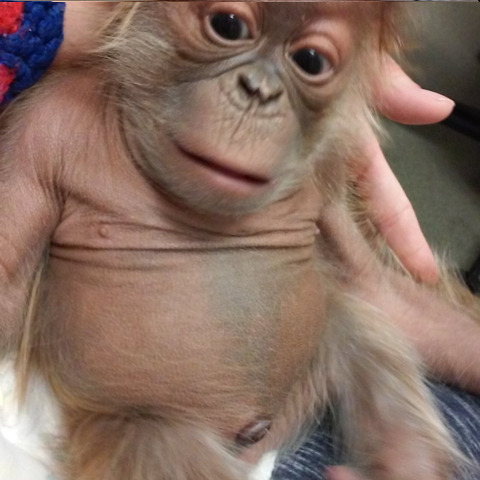 Photos and Video of Our Growing Baby Boy!